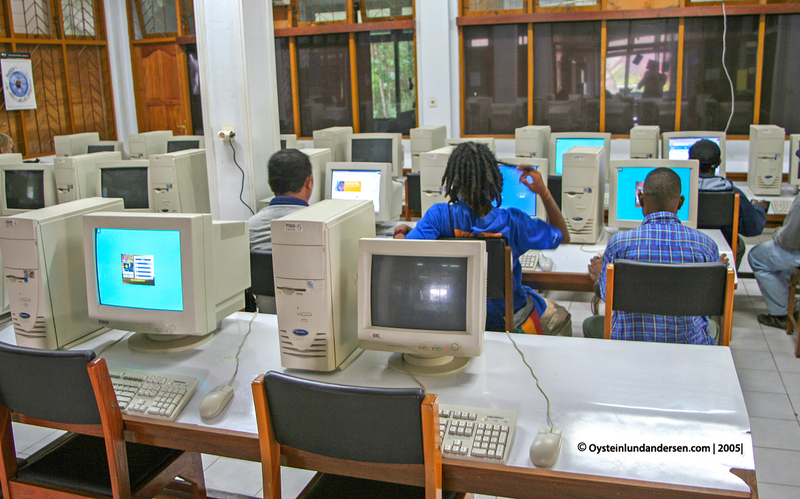 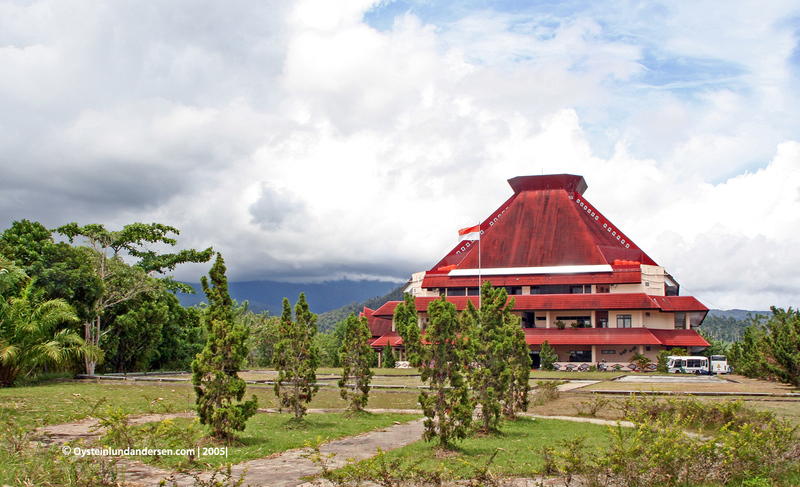 Cenderawasih University is the oldest and the leading educational institution in the province of Papua, Indonesia. 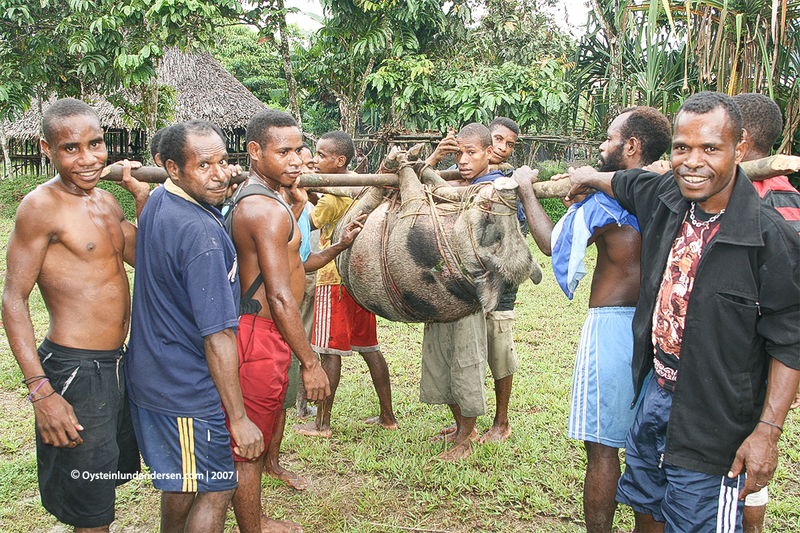 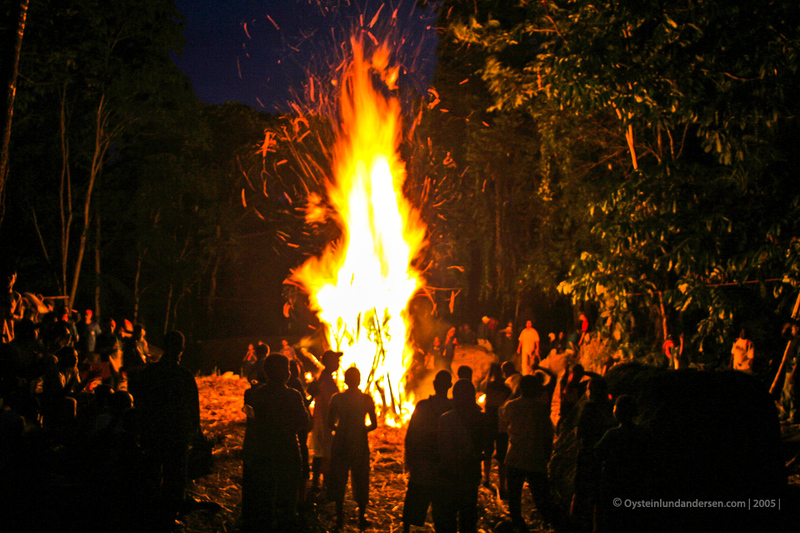 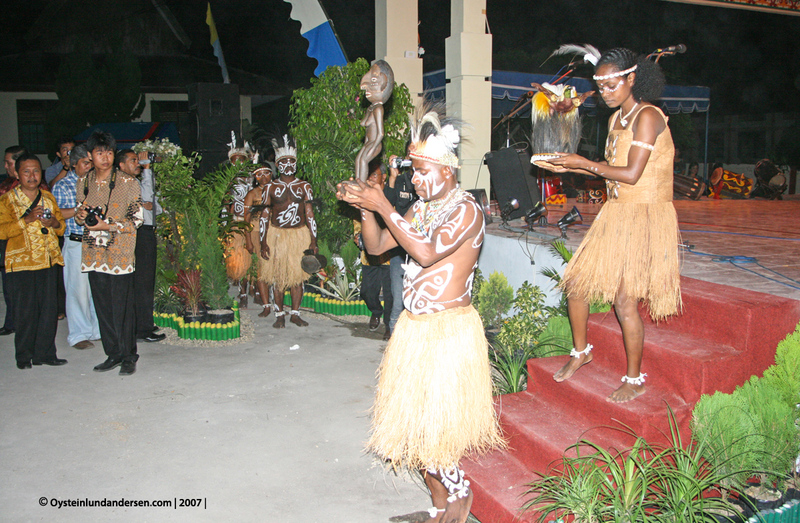 (New Guinea). 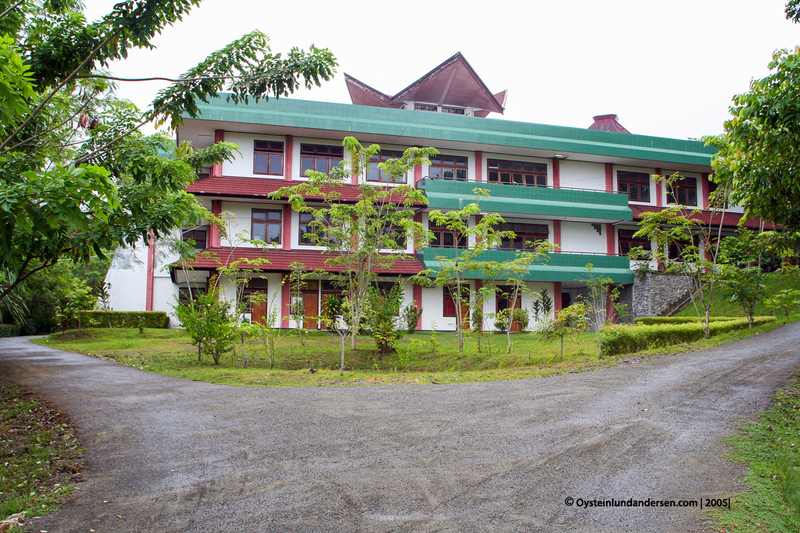 The university was inagurated in 1962, and has faculties in economics, law, teacher training and education, medical, biology and social and political science. 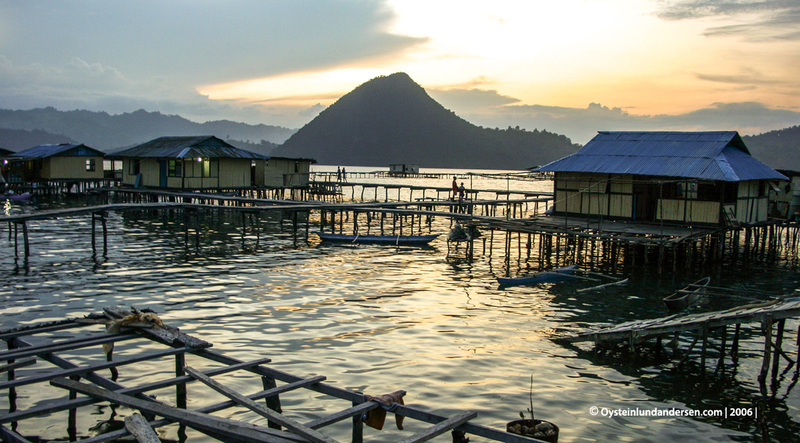 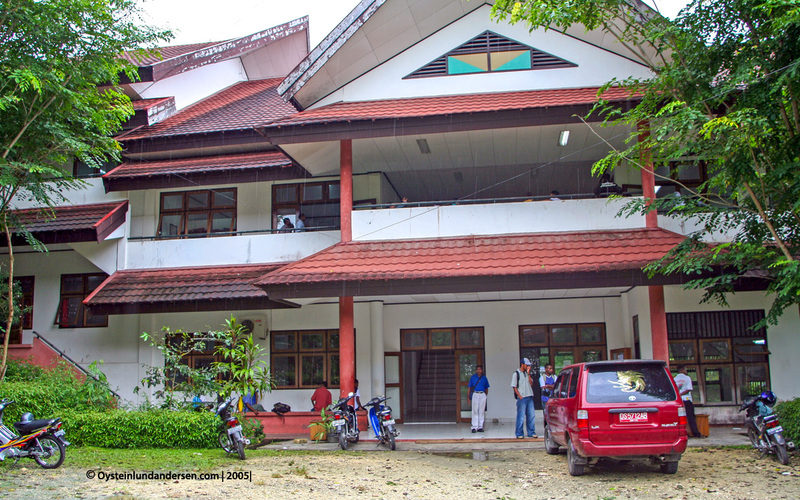 The University is divided into two areas (as of 2007): Kampus lama” (old campus) in the Jayapura suburb of Abepura and the “Kampus baru” (new campus) which is in the hillside of the suburb of Waena. 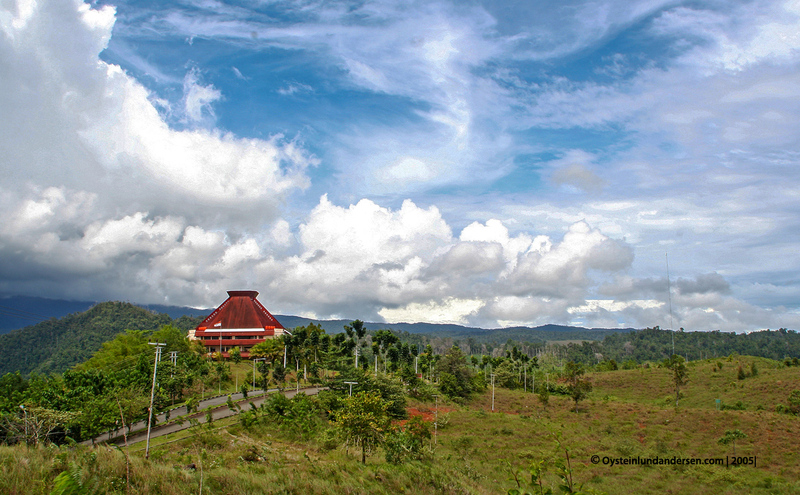 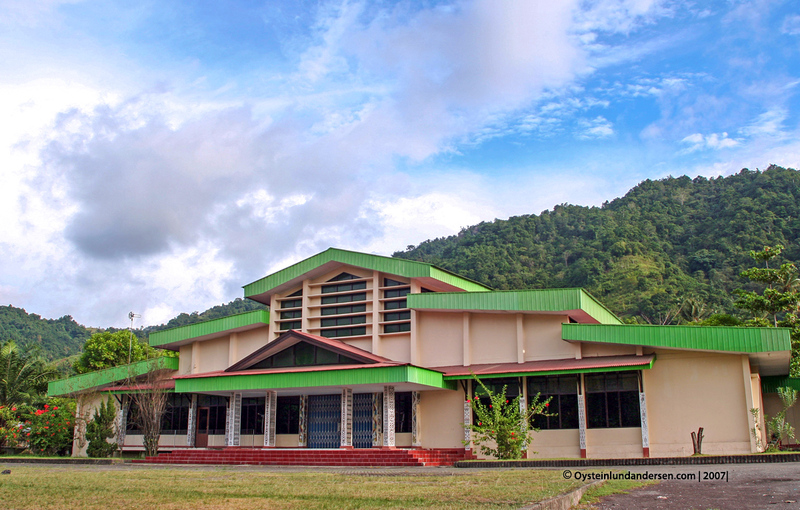 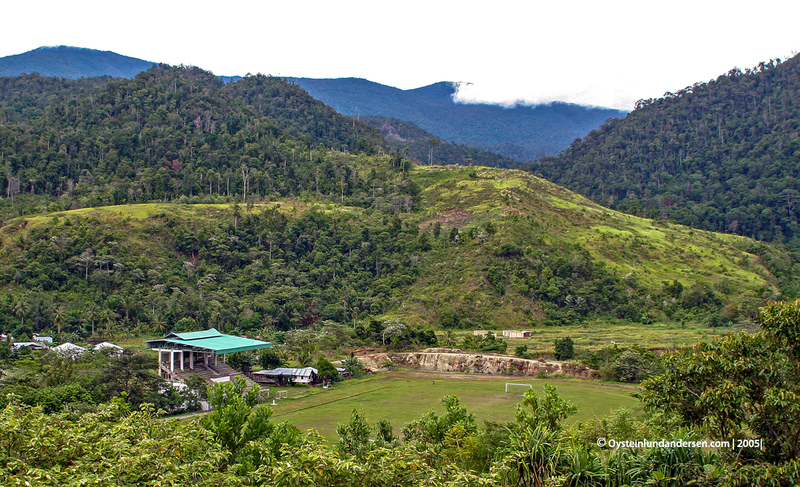 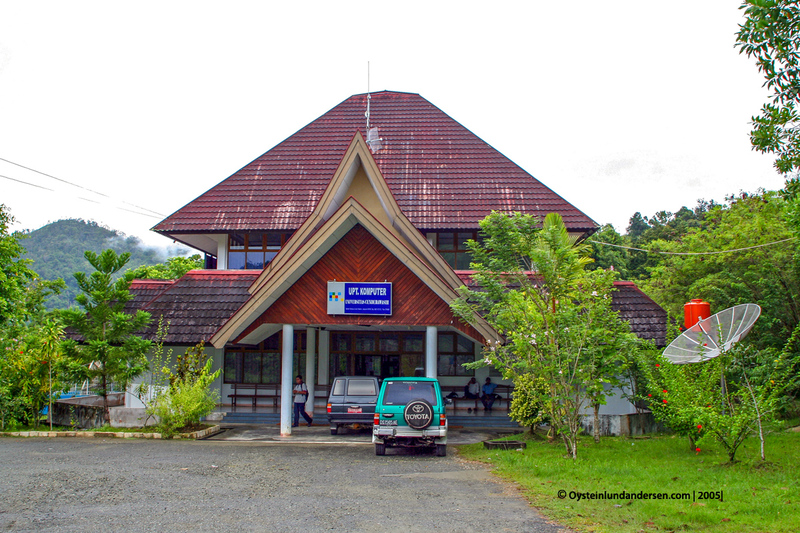 The administrative building (directorate) of the University is located at the Kampus Baru on a hilltop with view over Waena and Lake Sentani. 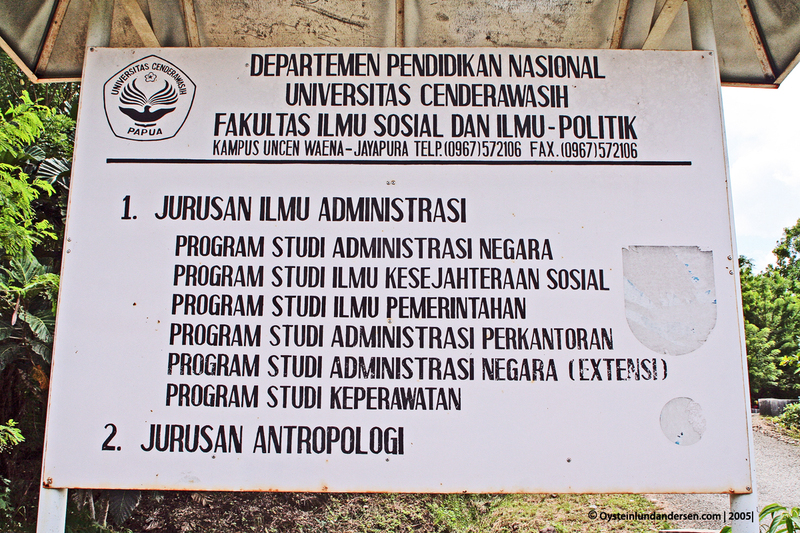 I studied anthropology at the Faculty of Social and Political Science at Cenderawasih during the years 2003-2007. 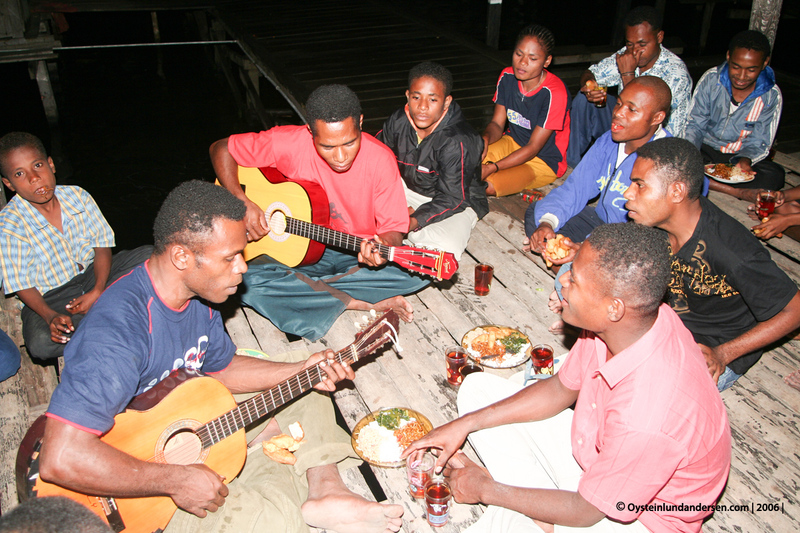 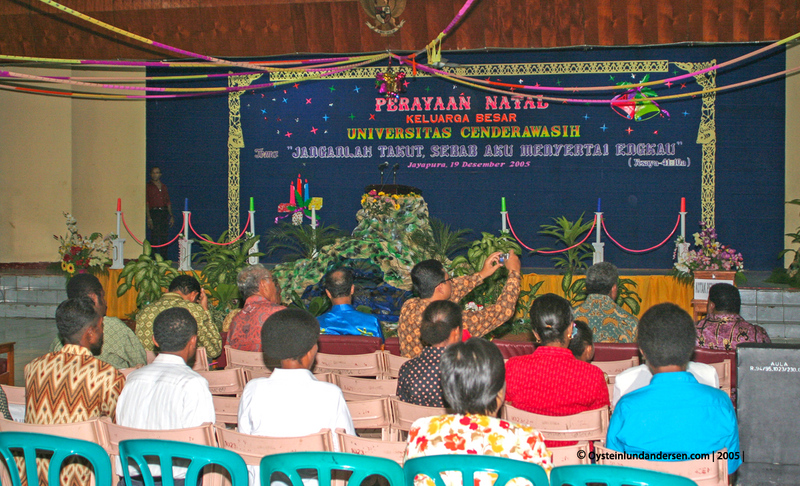 These photos are taken at the University, its kampus but also from social events together with students and lecturers. 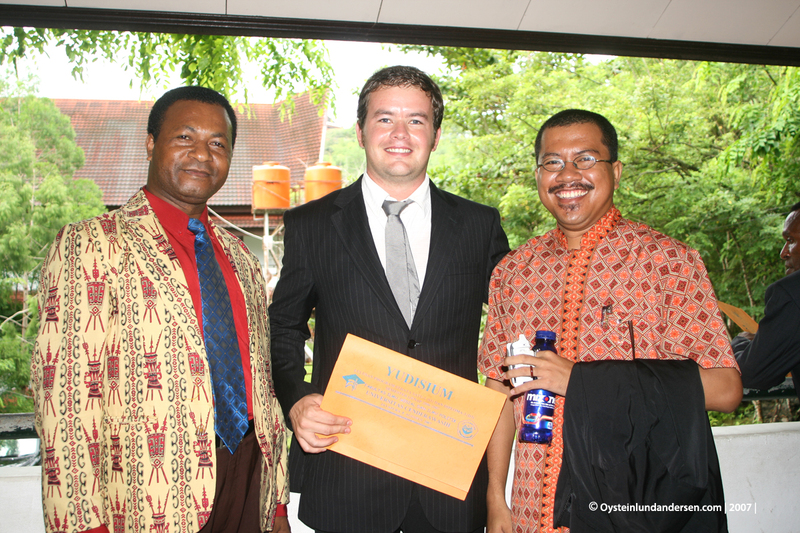 Im grateful to my years in Papua, and especially for all the great knowledge and experience I obtained from knowledgable lecturers and students at the University. 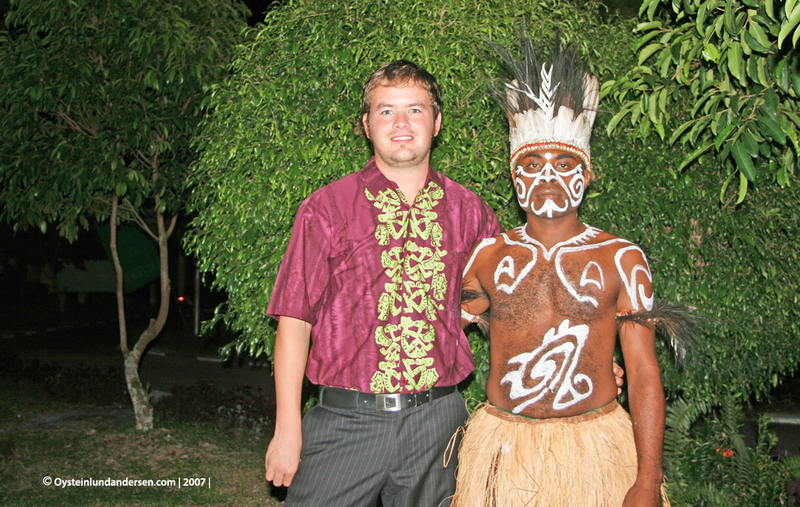 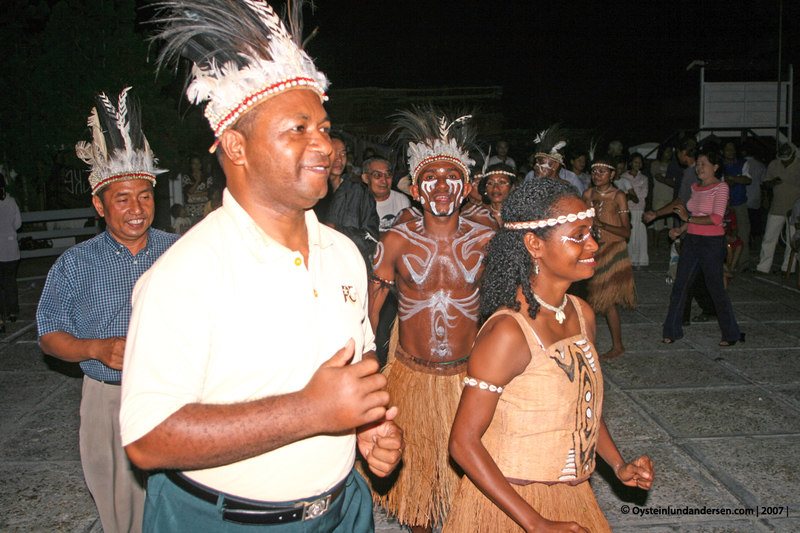 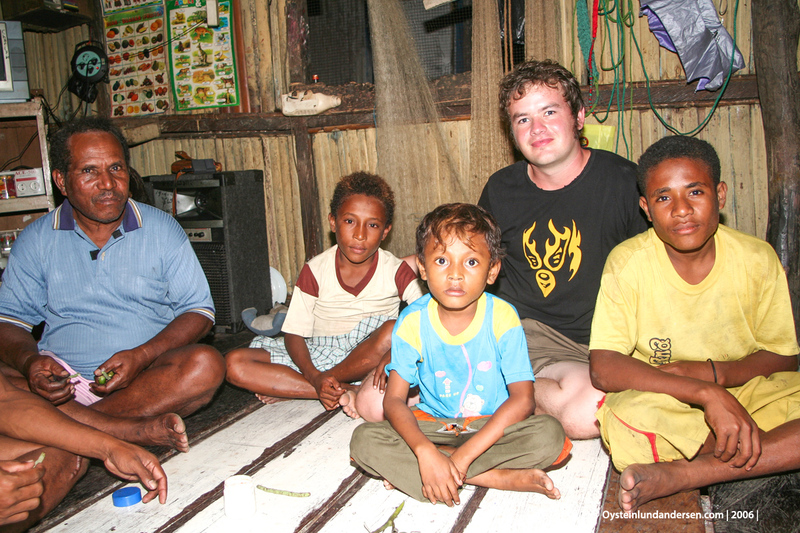 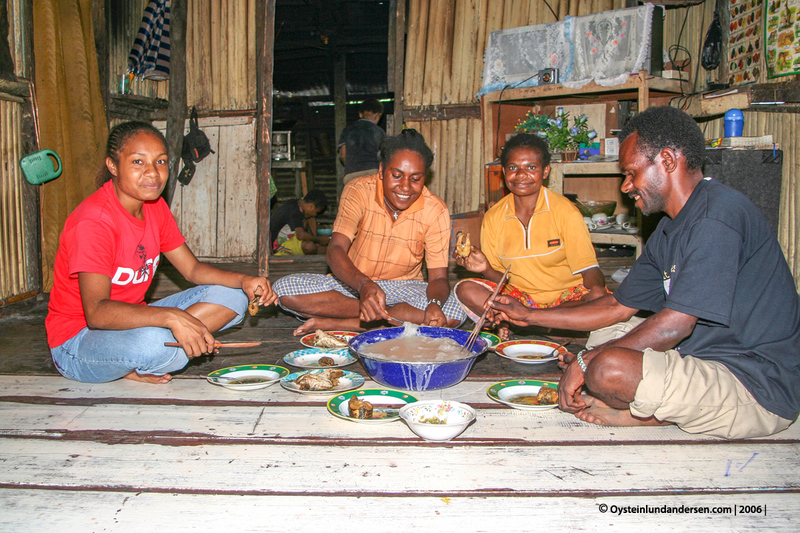 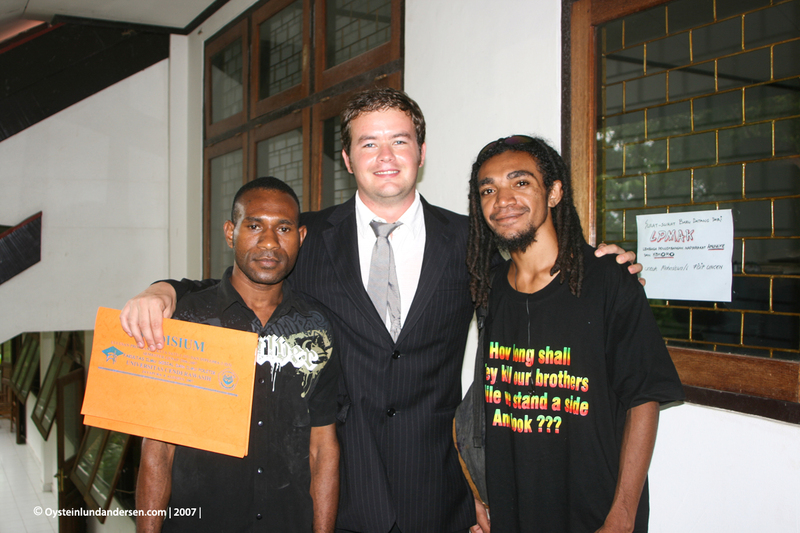 Many of my best experiences and memories I have from Papua and the University, the Papuan culture, the Papuan humor and jokes, and the many charming personalities – are something I miss every time I think about it. 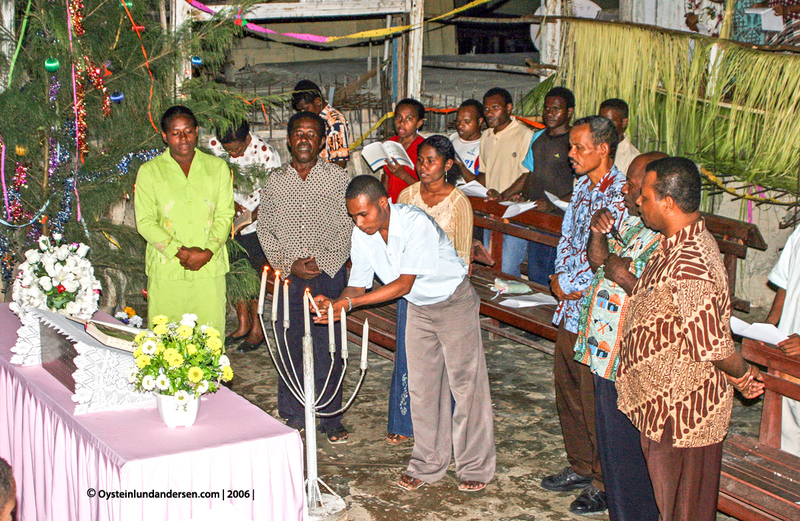 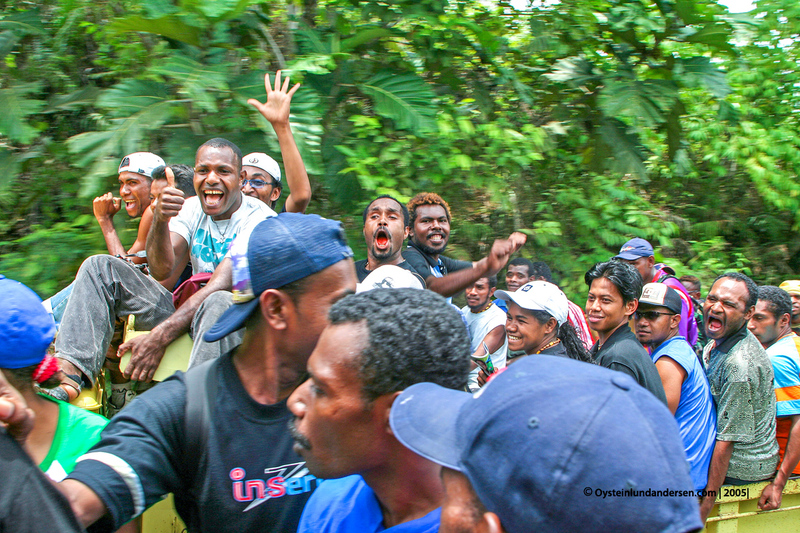 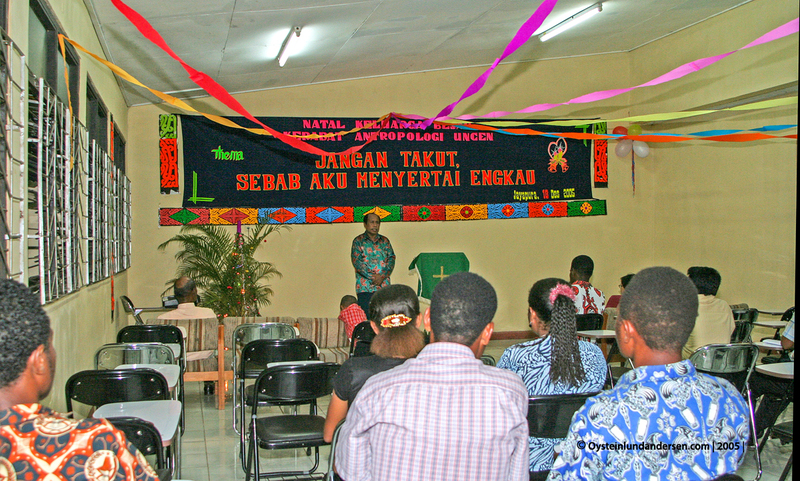 There were some struggles too, I remember someone writing that Papua was “bittersweet”, I can relate to that, but I will abstain from saying more about that. 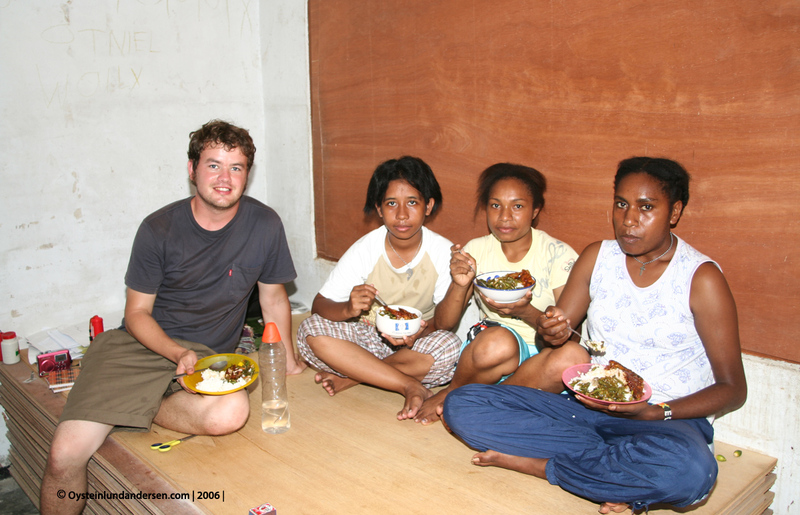 Special thanks to Naffi Sanggenafa (rip), Barkis Suraatmadja (rip), Fredrik Sokoy and Johsz Mansoben who assited me greatly with my fieldwork and became my friends. 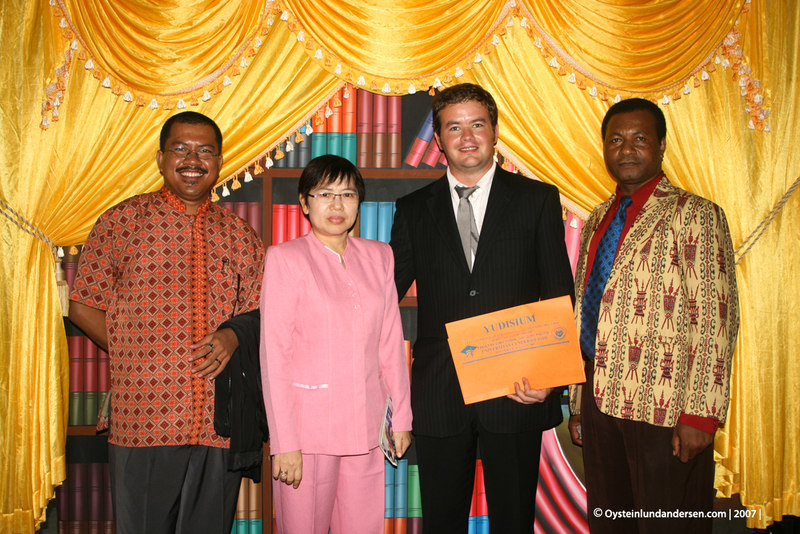 And to Sam Renyaan a lecturer, who was the person that actually made it possible for me to be a part of the Cenderawasih University. 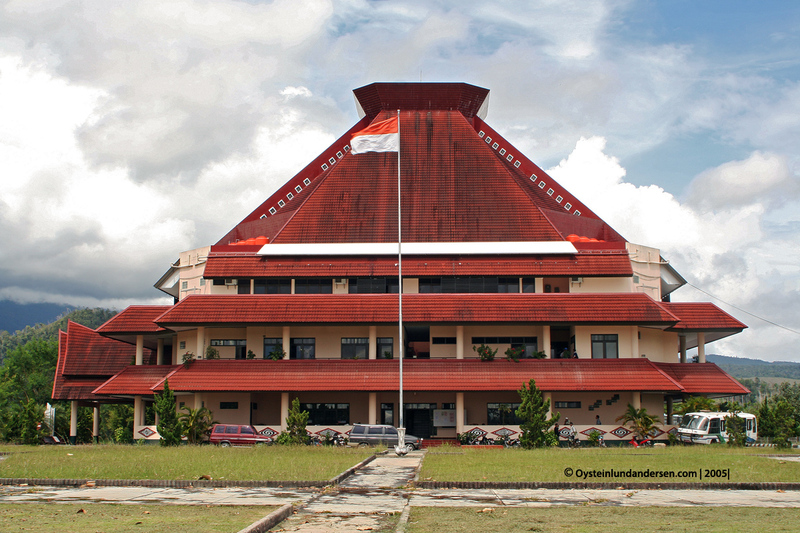 Lastly, if anyone from Papua (UNCEN students/lecturers/alumni) are visiting this page and are interested in high-res resolution photos shown here: Send me a email, ofcourse I will share the photos with you. 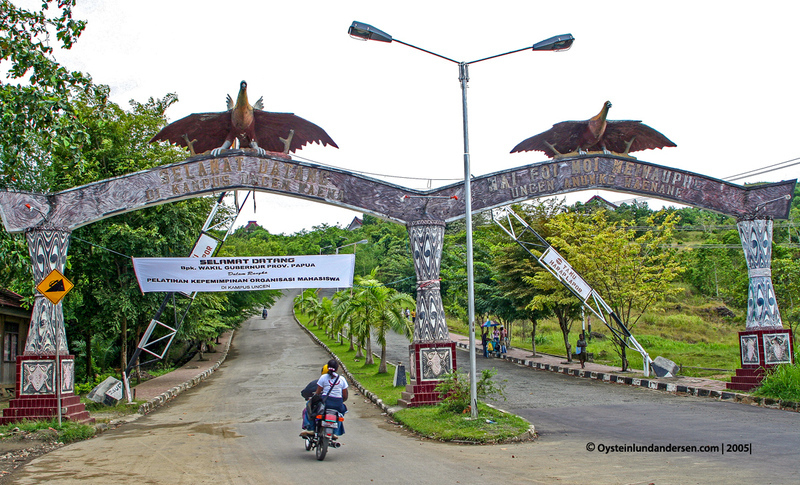 The entrance gate to Campus UNCEN (baru) in Waena. 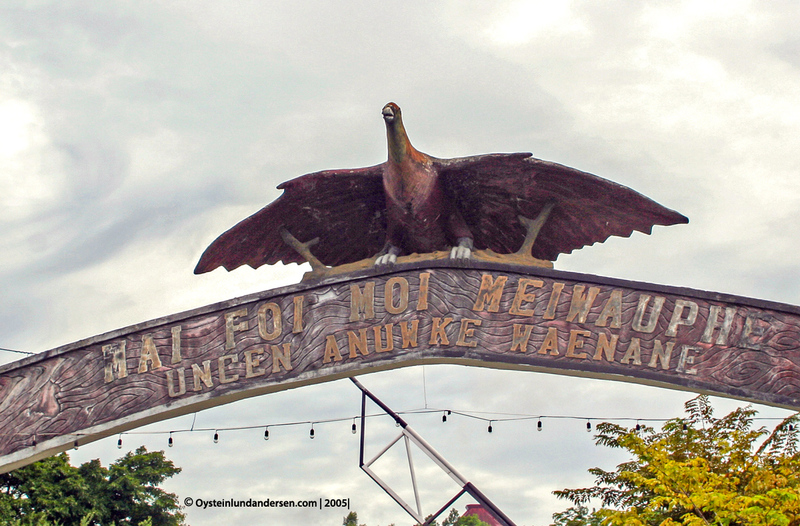 The Bird of Paradise (Cenderawasih) bird above the entrance gate. 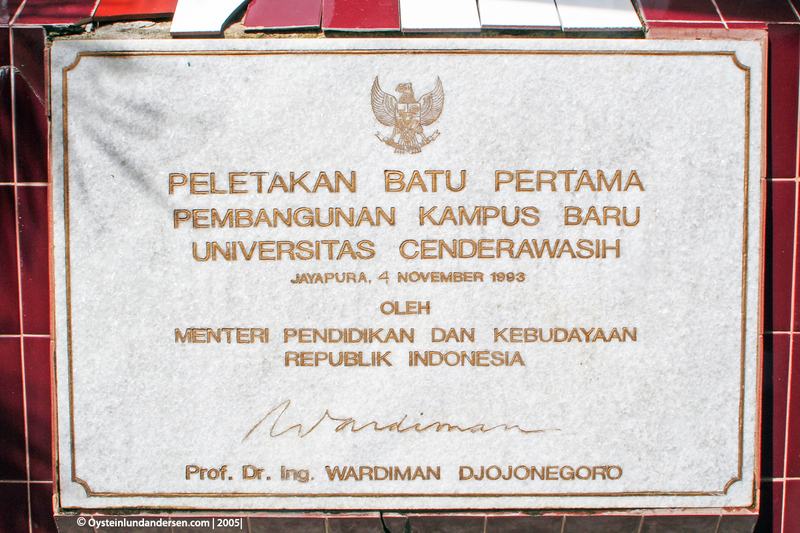 The Cenderawasih is part of the University`s logo. 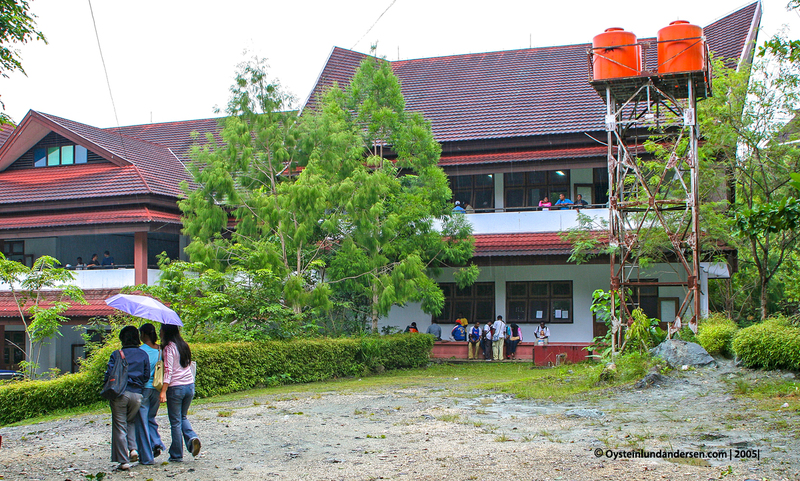 The campus seen from below. 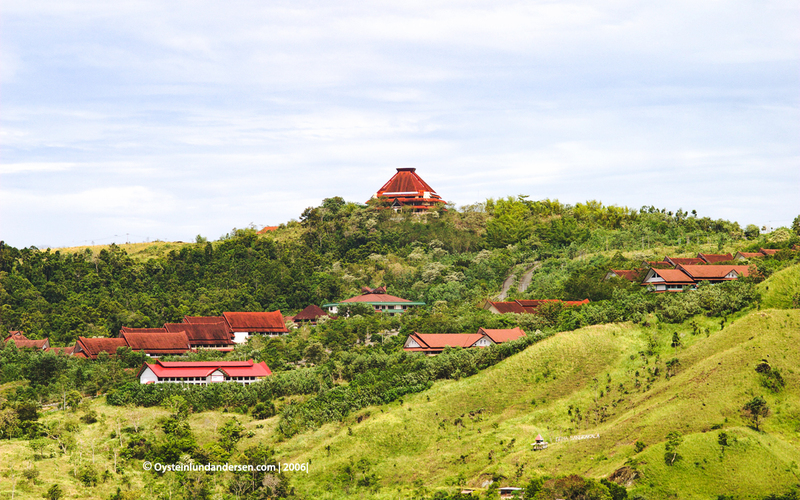 TheThe administrative building is the building on the top of the hill. 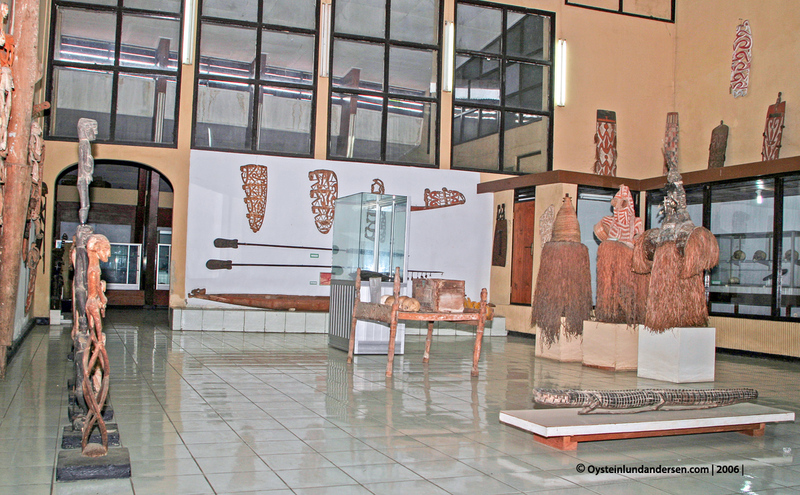 Inside the Museum. 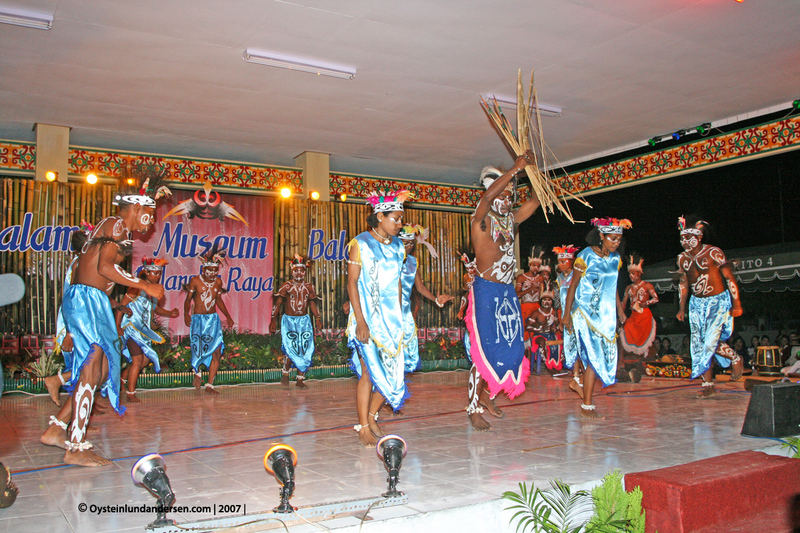 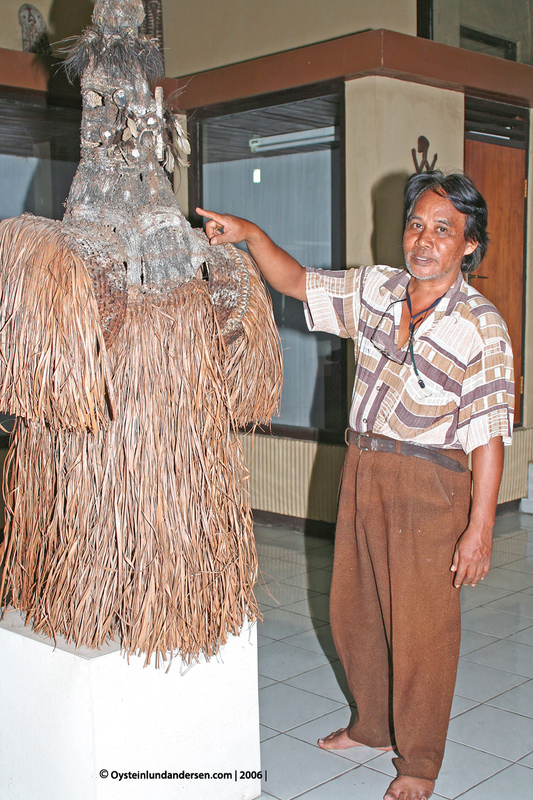 The Museum have a extended collection of Papuan material culture from Asmat to the highlands of Papua. 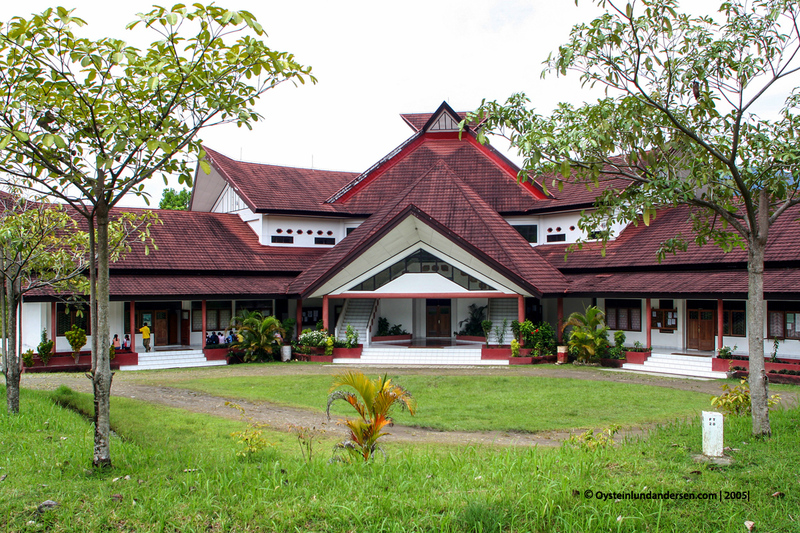 It is open for the public. 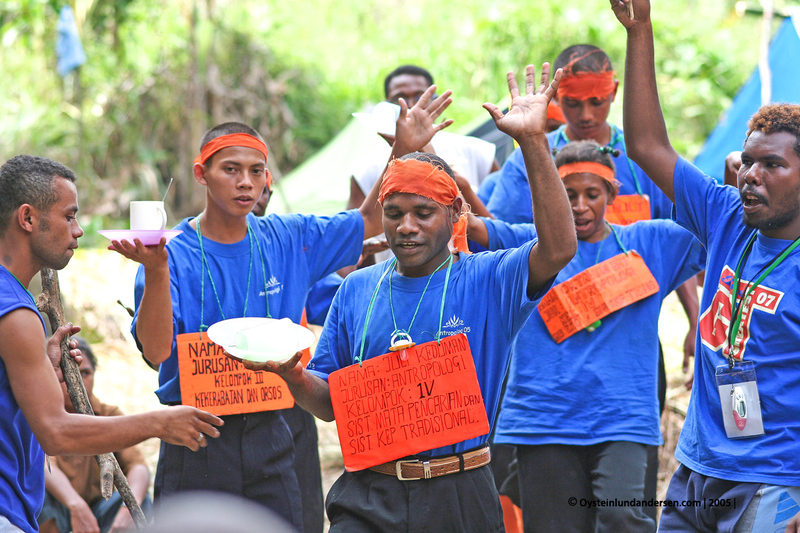 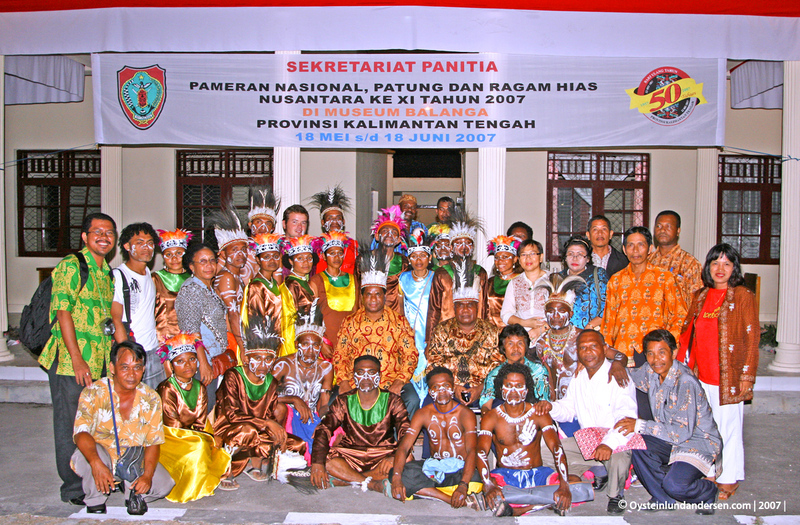 Preparation of the initiation process of the new faculty students of 2005. 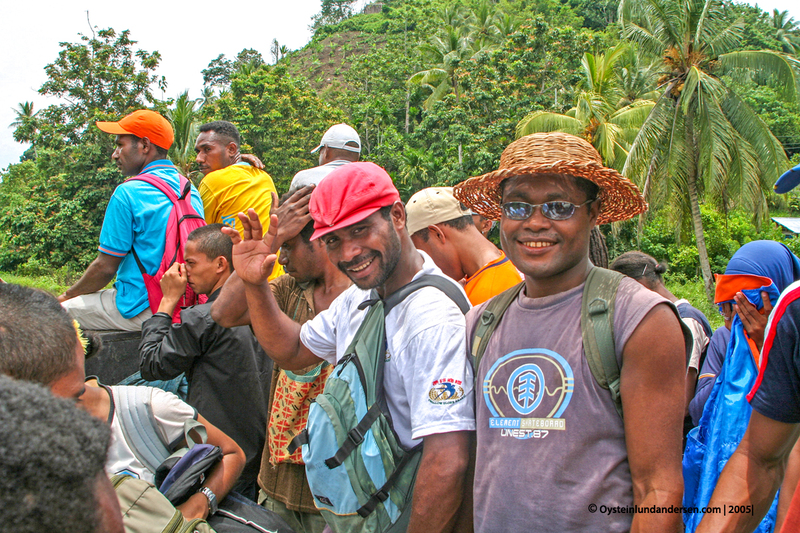 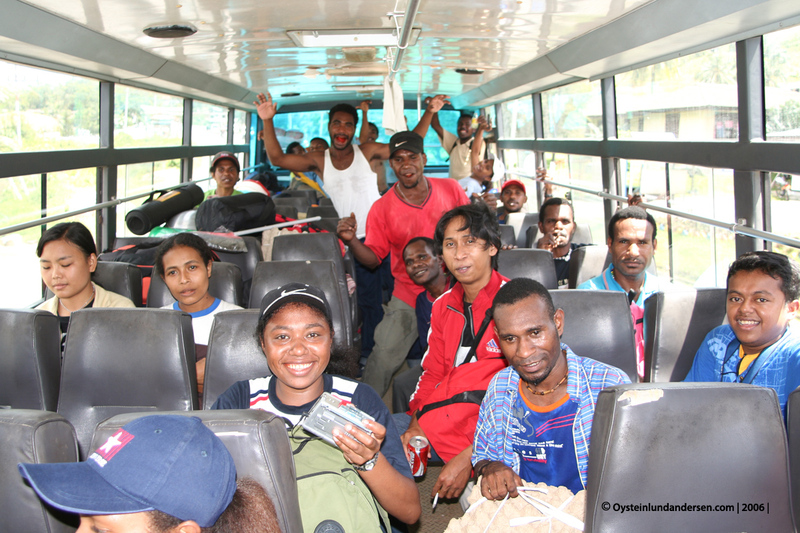 Bus ready to bring participants to Sentani, where the initation was held for 2 days. 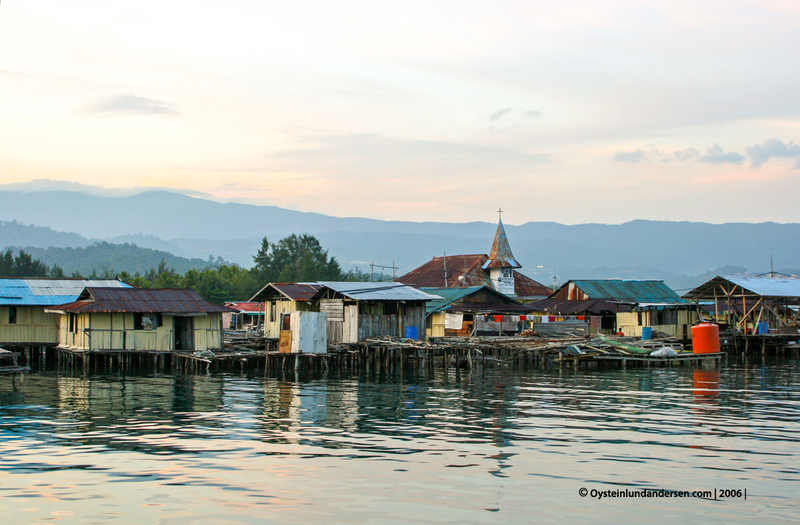 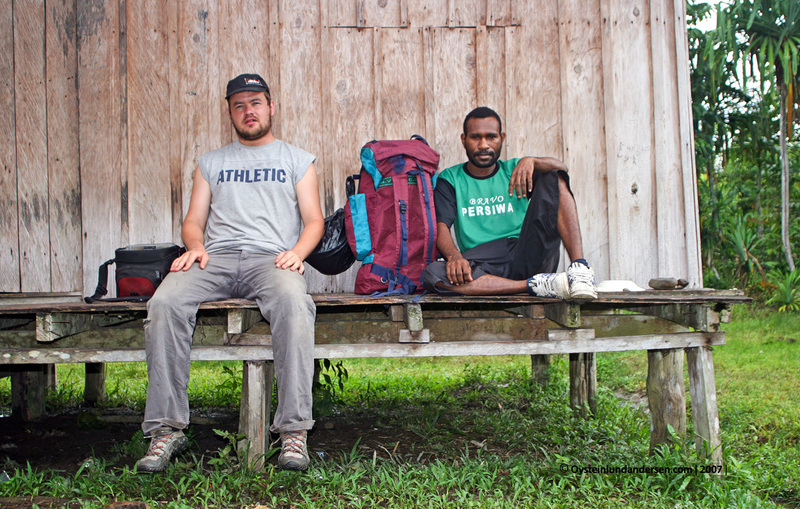 Arriving in the outskirts of Sentani. 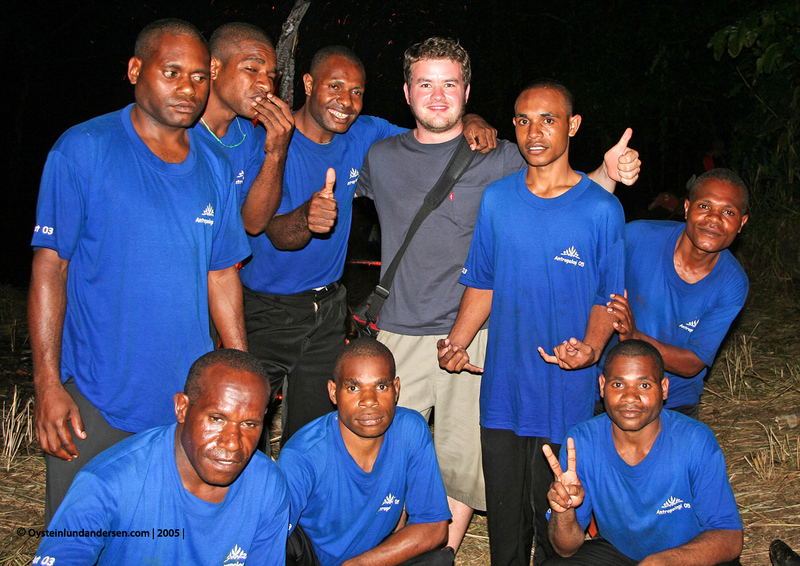 New students surrounded by seniors. 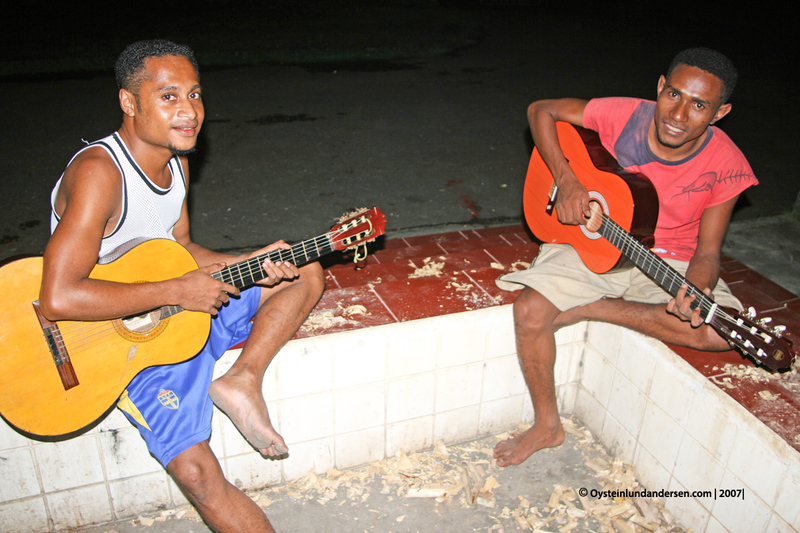 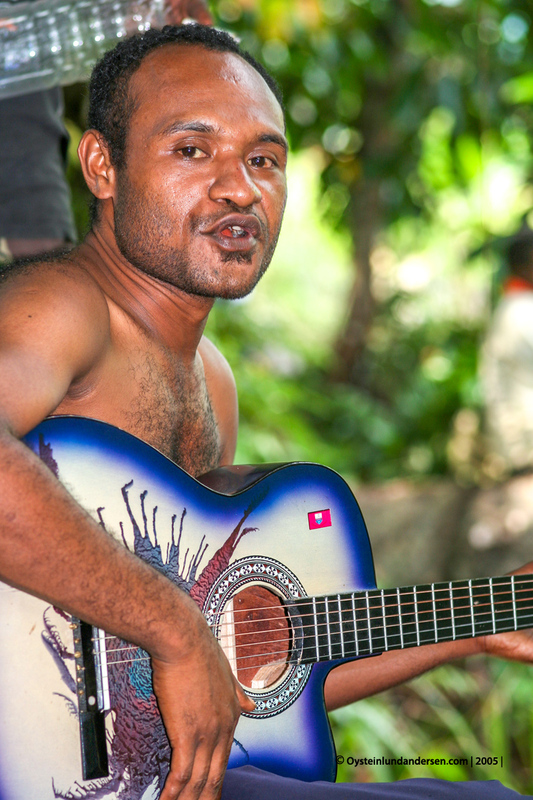 Best guitar player at the University of Cenderawasih. 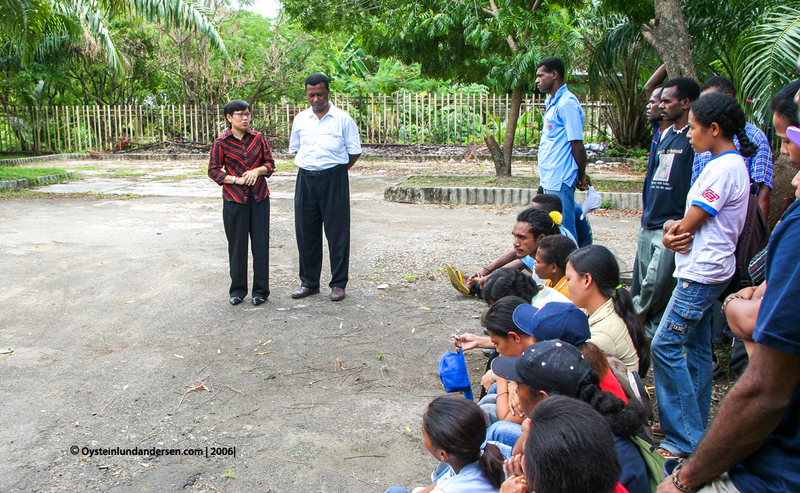 New students listening to the words of Yosephine Griapon, a lecturer at the faculty. 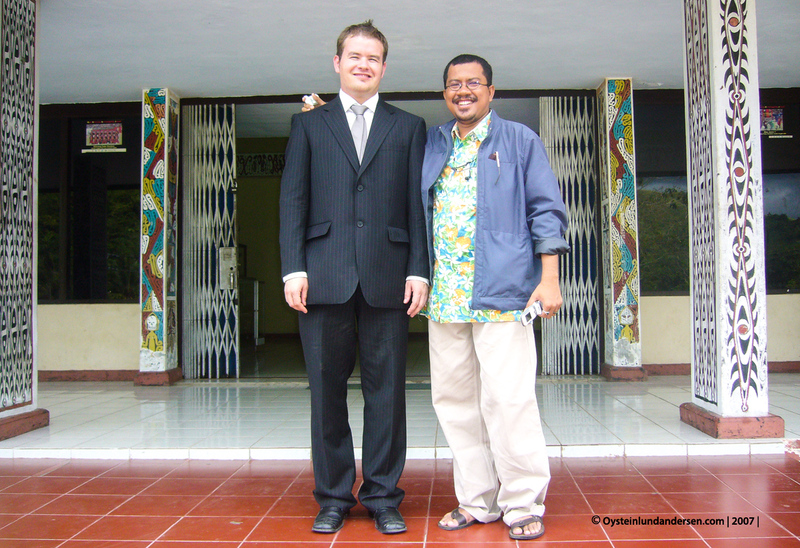 Me and Hans from 2003 class. 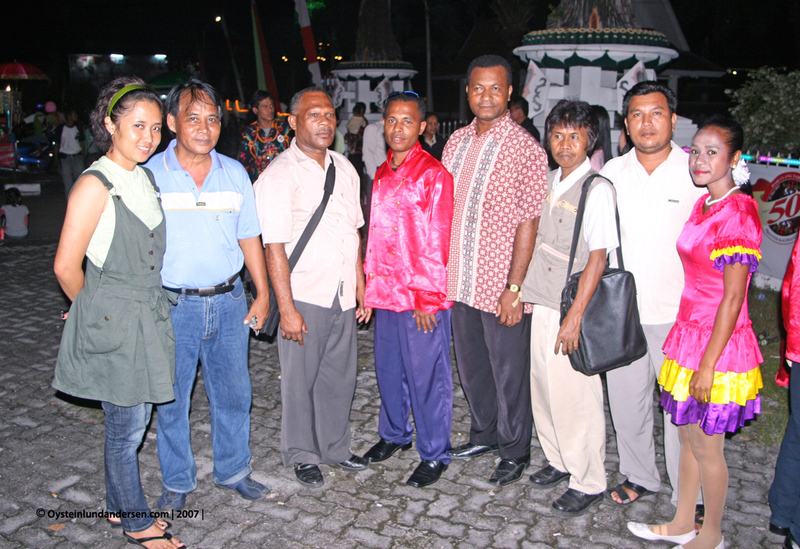 With new students of 2005 class. 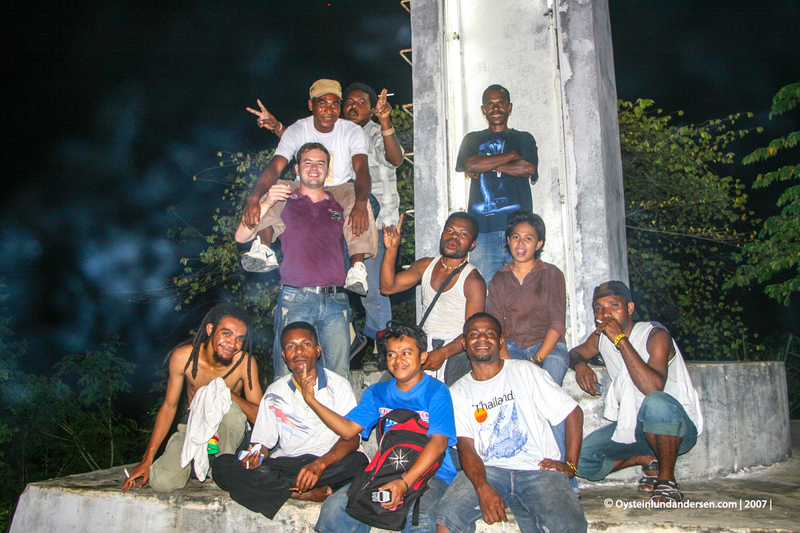 Dont remember how this went. 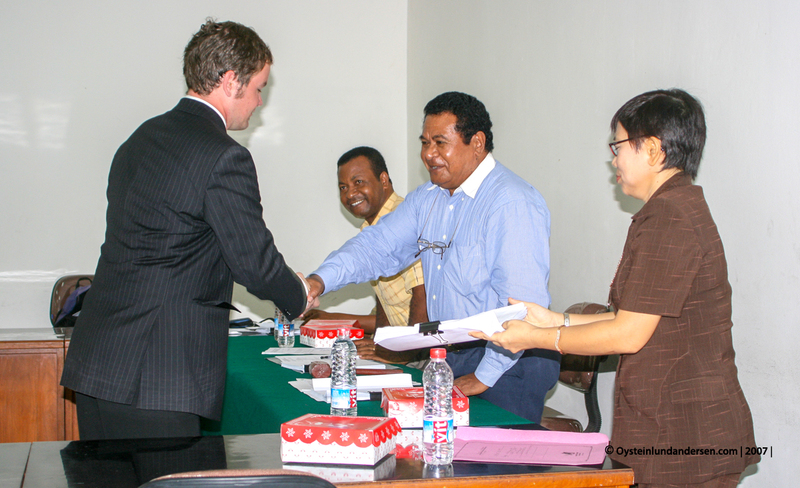 Exciting days. 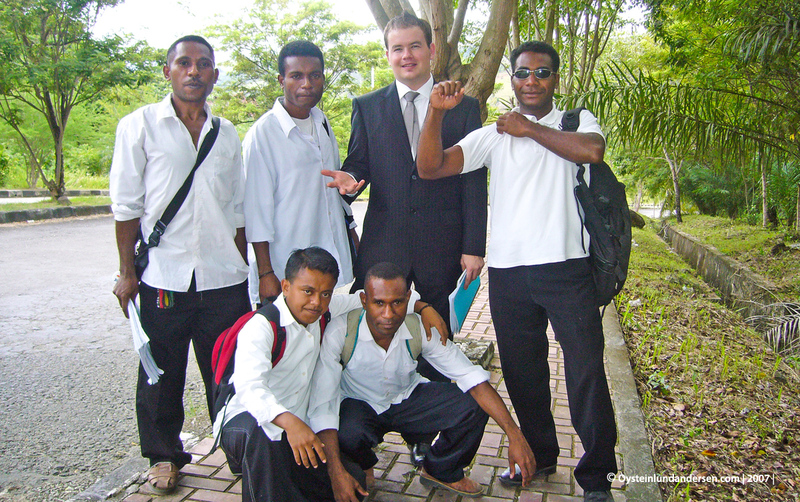 This was on the last day when the Initation was finalized at a beach area in Holtekamp in the Youtefa bay. 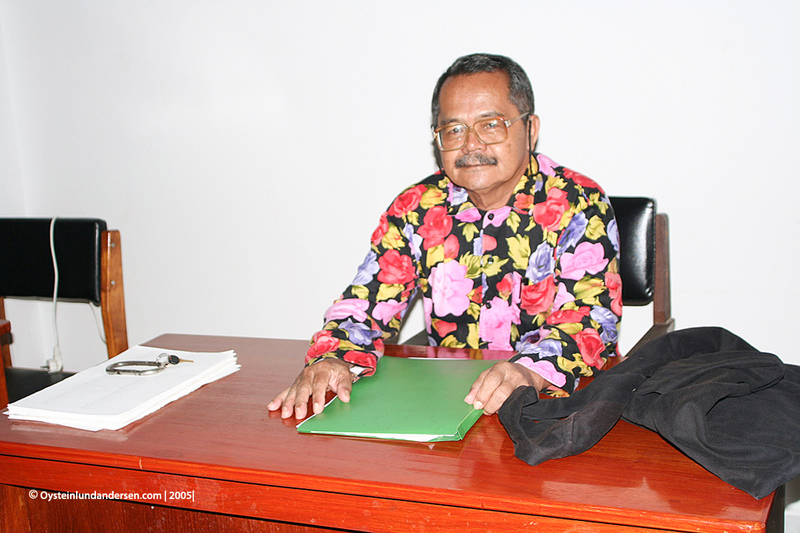 Barkis Suraatmadja (Rip) at his desk. 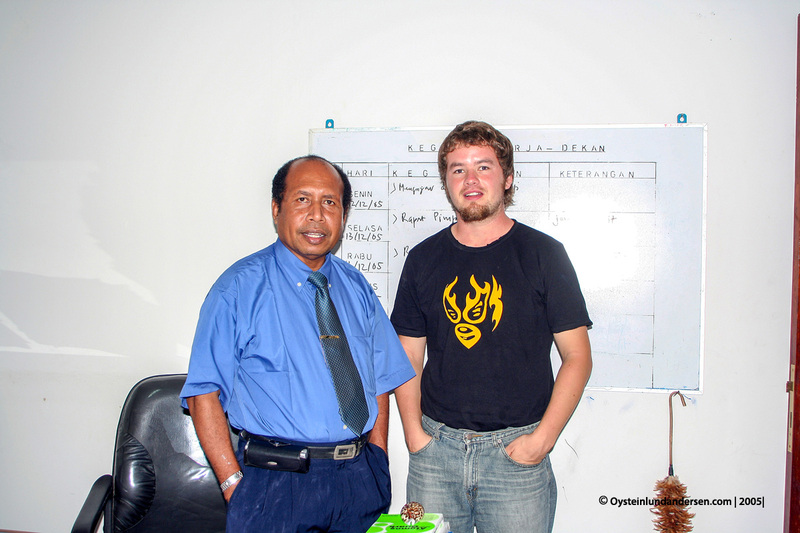 He was a great lecturer at the Cenderawasih University. 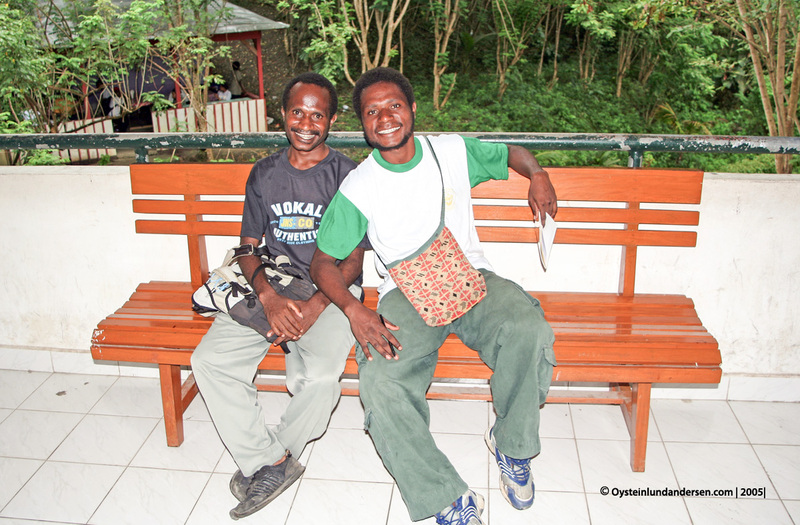 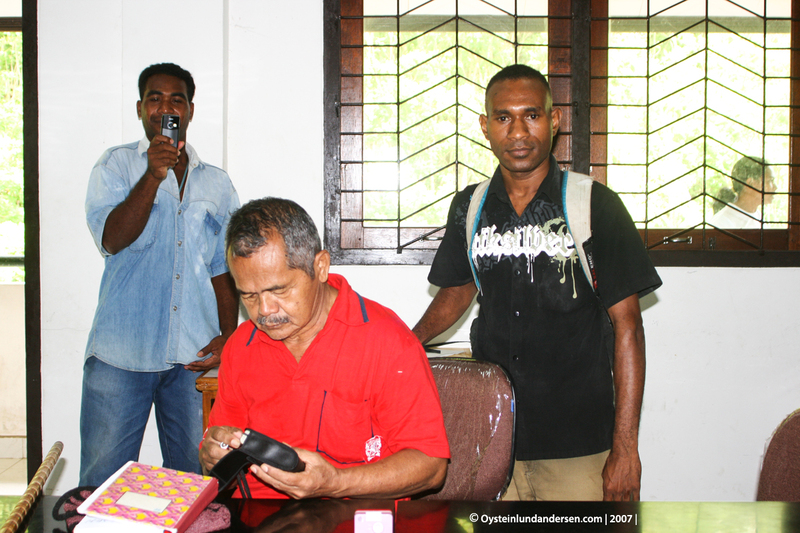 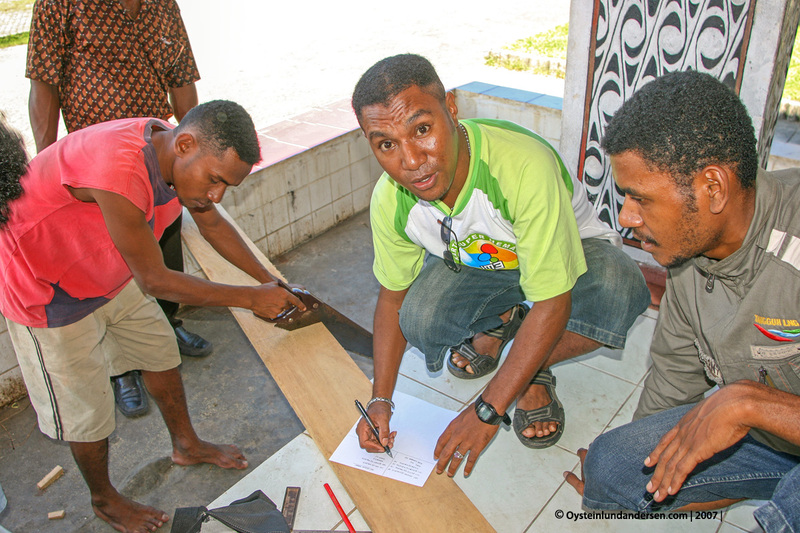 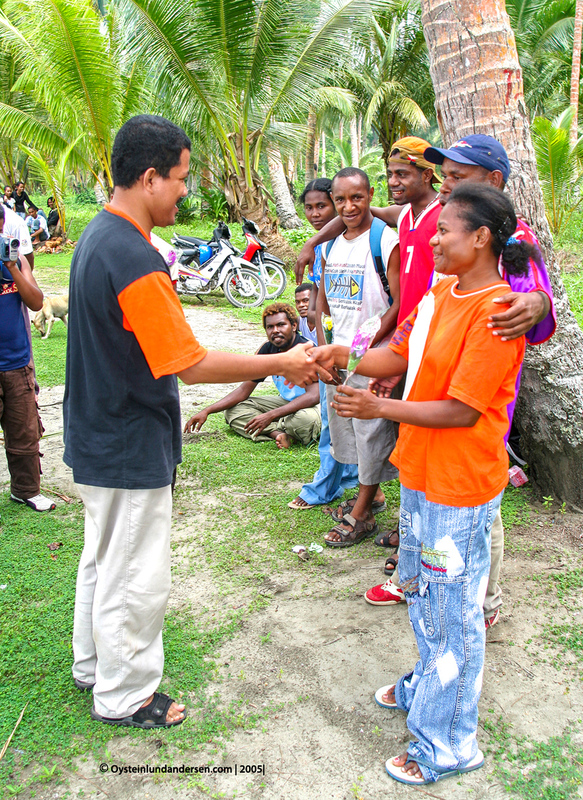 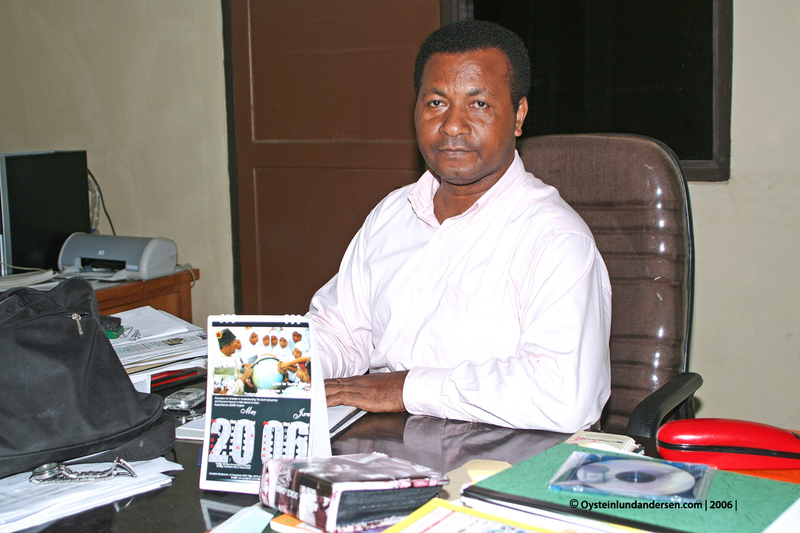 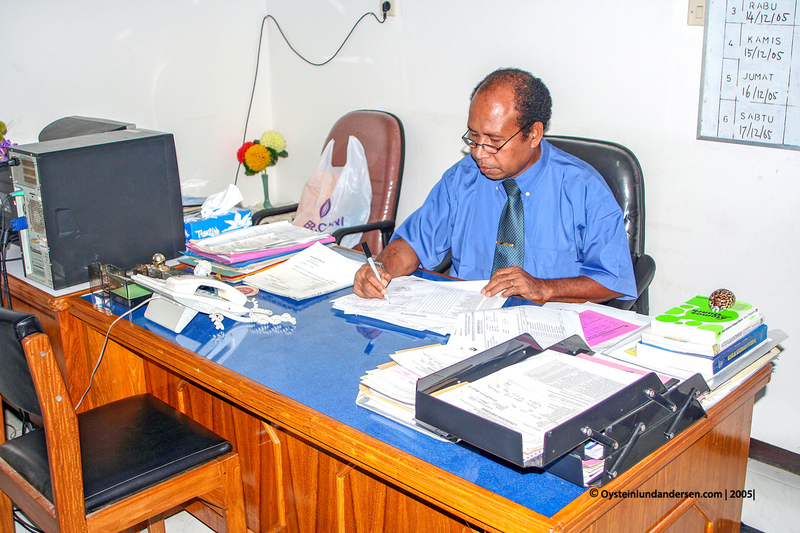 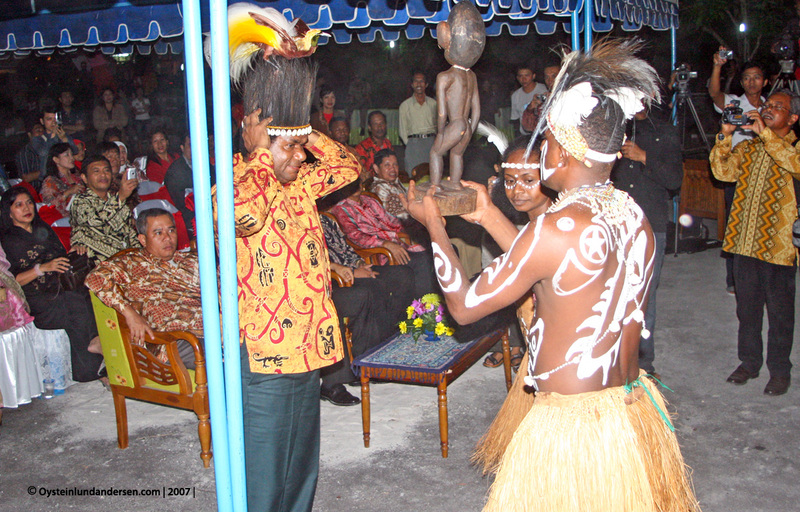 Highly respected for his knowledge of Papuan kinship systems and general culture. 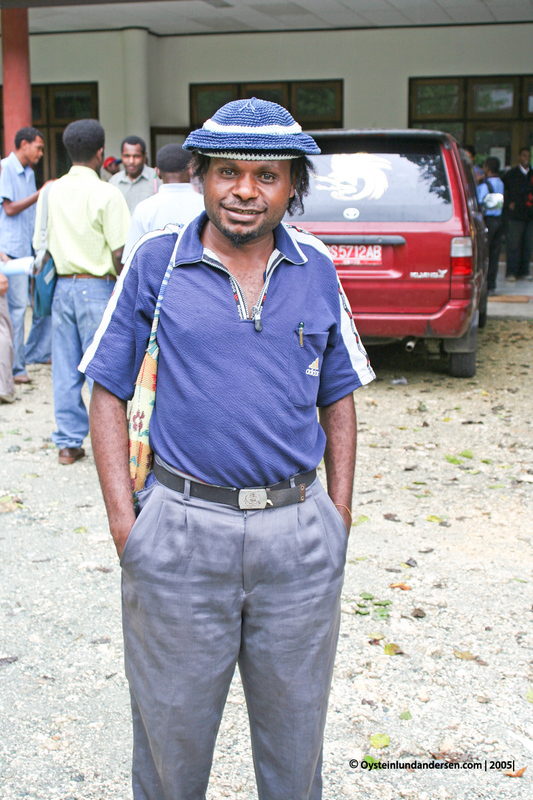 He was strict, had his original sense of humor and were always precicely on-time. 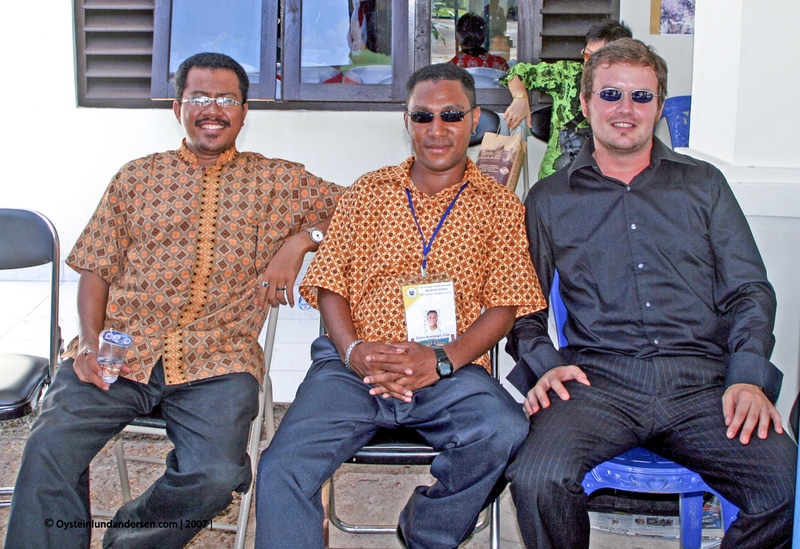 From left: Albert Wleskadith, Me, Barkis Suraatmadja and Maximus Kandam. 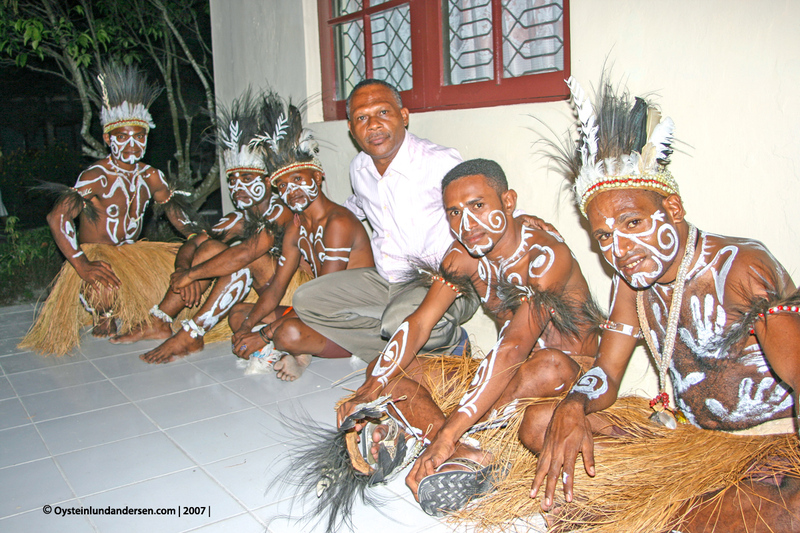 Naffi Sanggenafa, a Lecturer and the Dean on Anthropology during my period at the University. 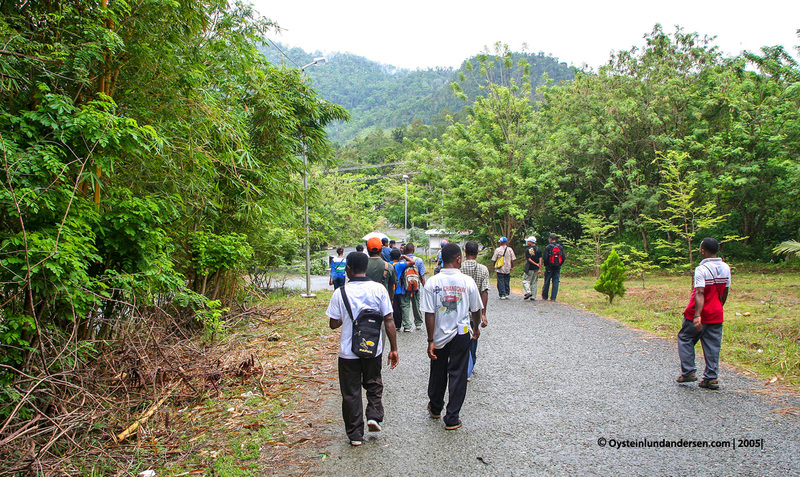 Walking down from the faculty after a day of study. 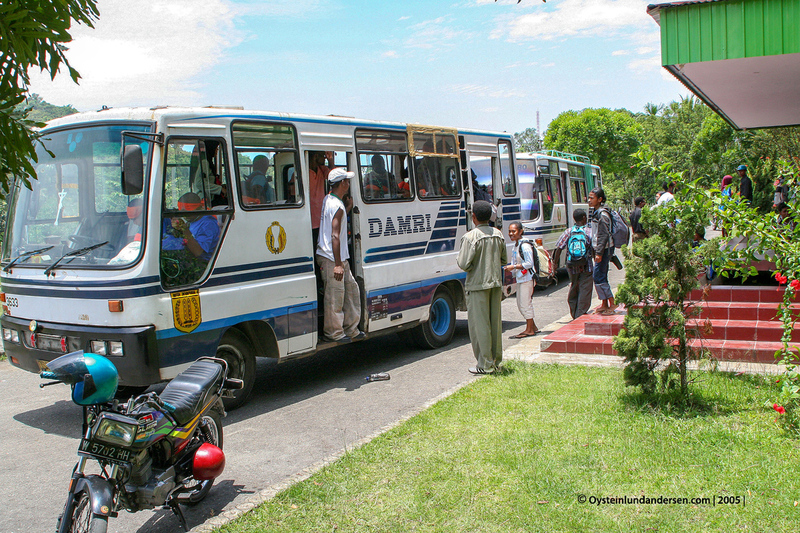 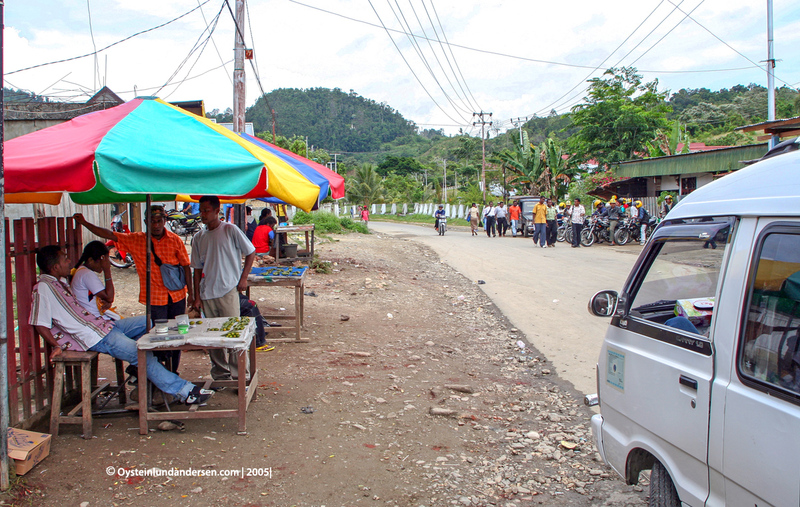 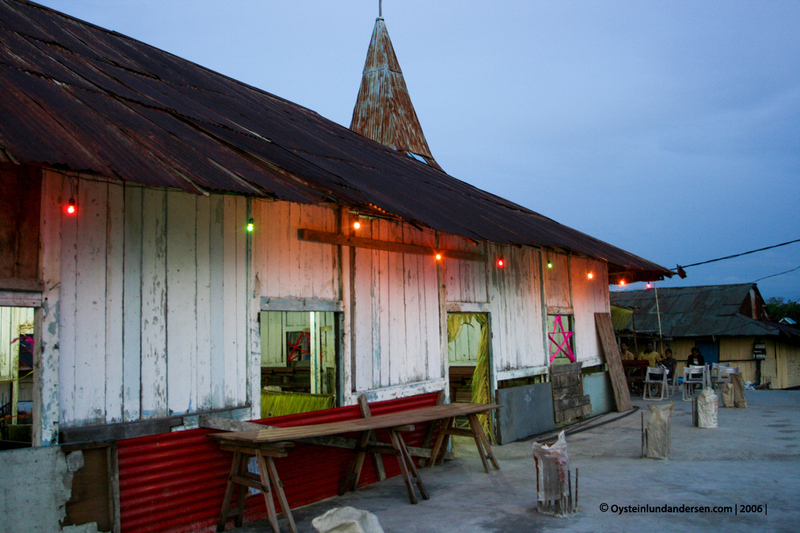 Taxi stand at the entrance of the kampus baru in Waena. 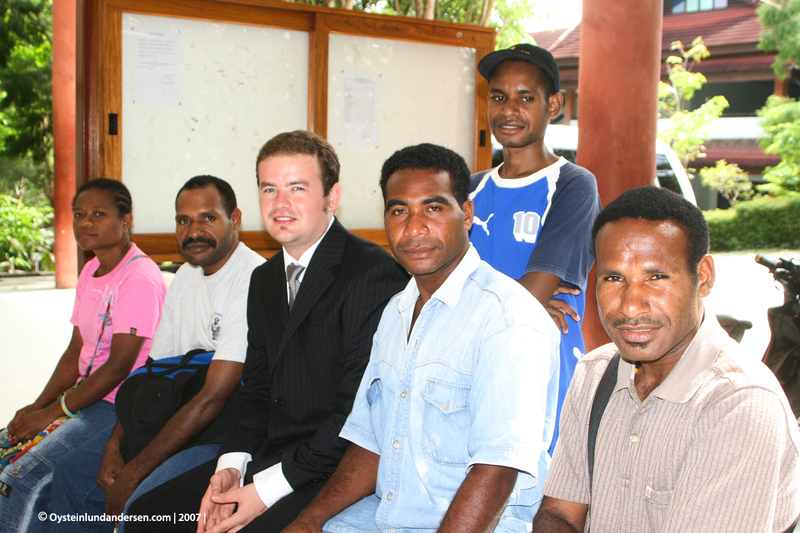 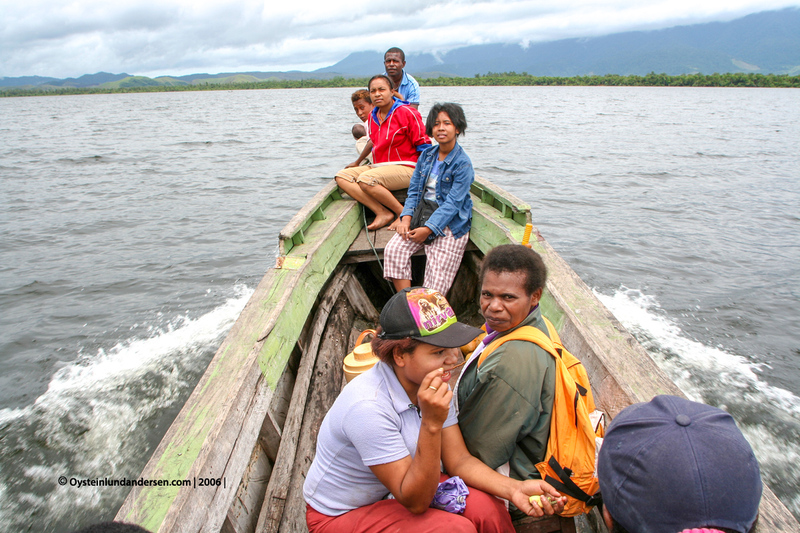 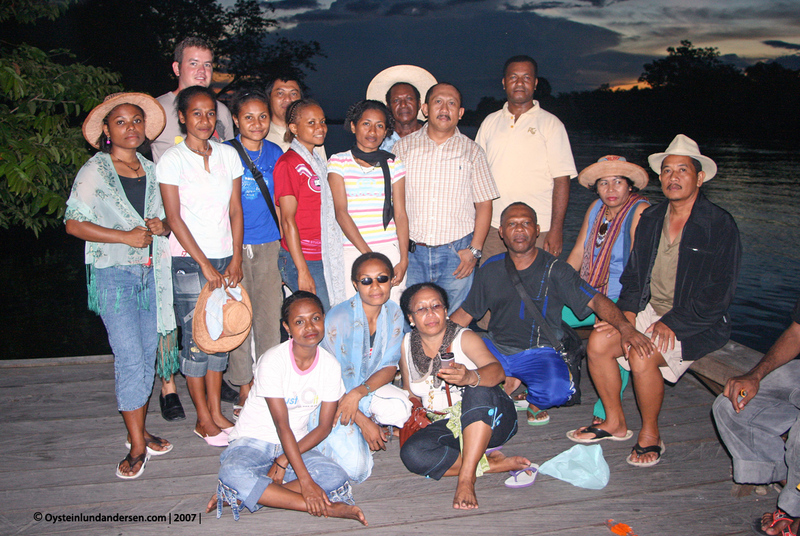 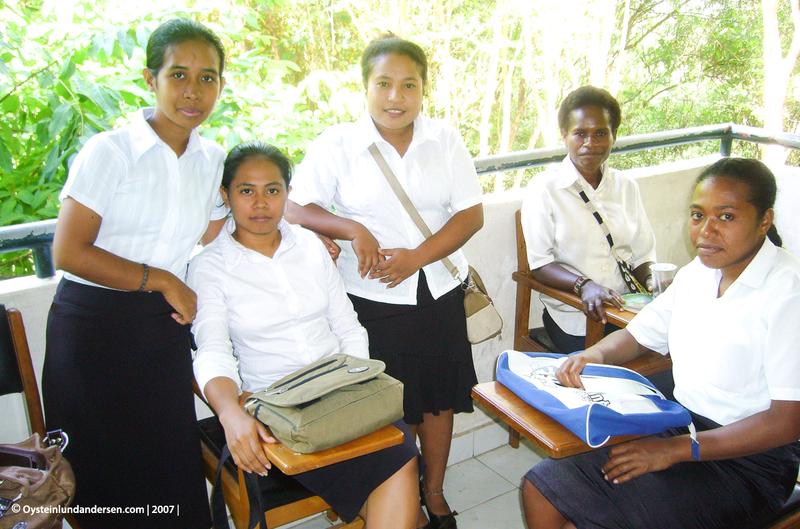 Preparing to depart for 2 weeks of fieldwork in Sentani, Anthropology class of 2003. 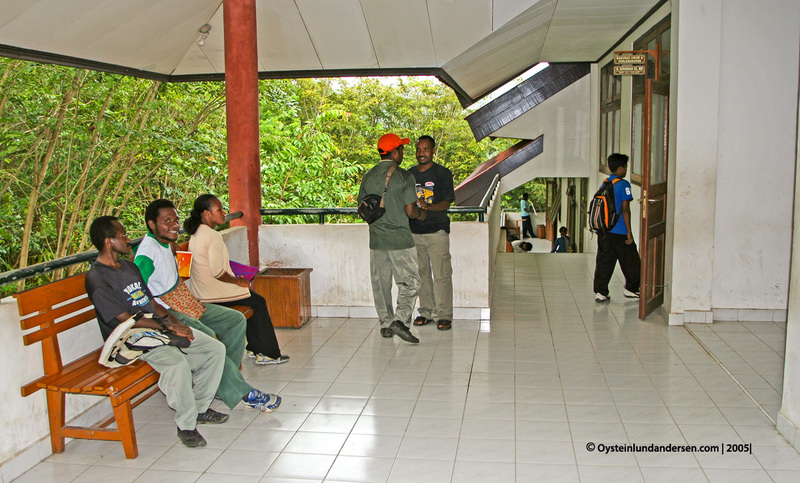 Faculty Lecturers: Ivone Poli and Fredrik Sokoy giving a briefing before departure. 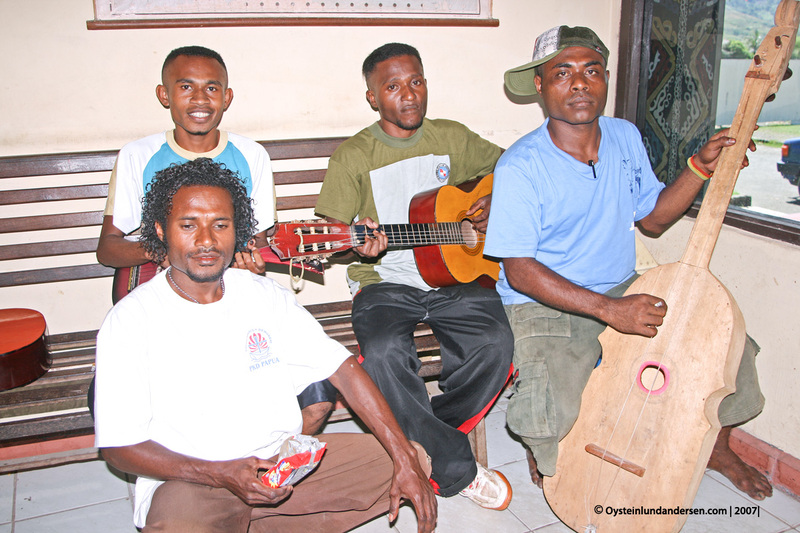 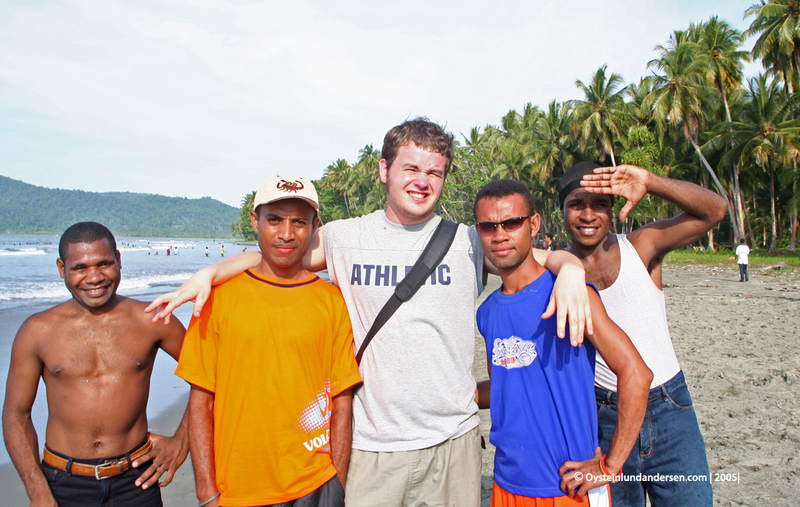 (From left) Albert, Lecturer Lenny Manalip, Pieter, Maximus, Alfares and Daisy. 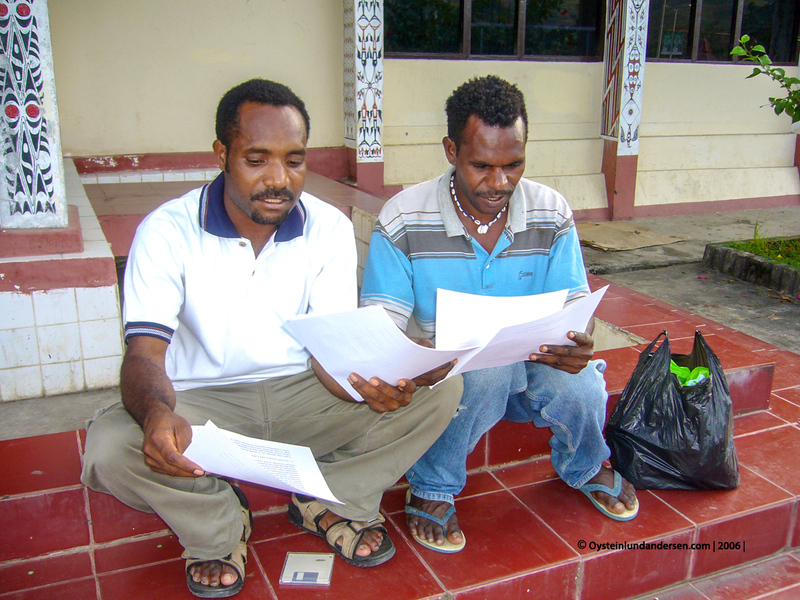 Putting down research notes. 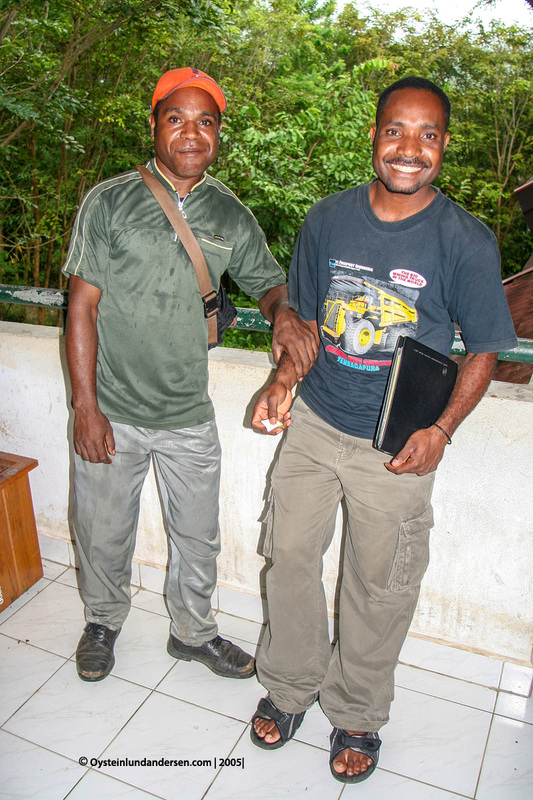 My team did research in the village of Babrongko. 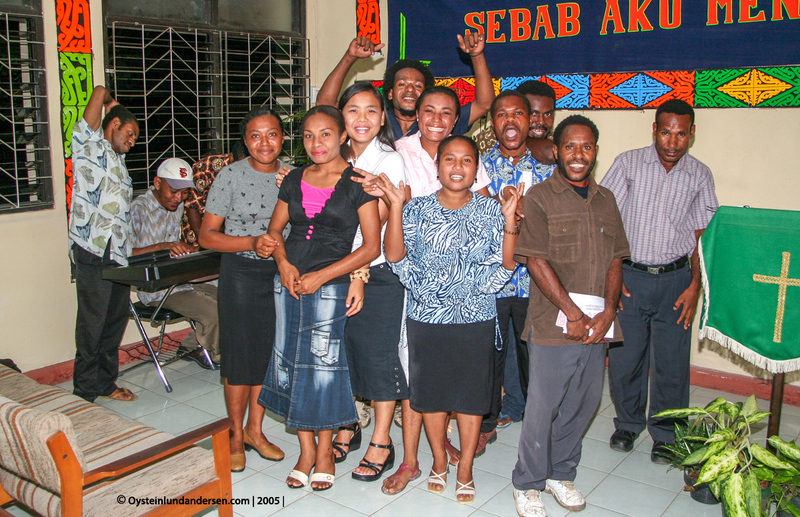 With the great lecturer Barkis Suraatmadja (Rip). 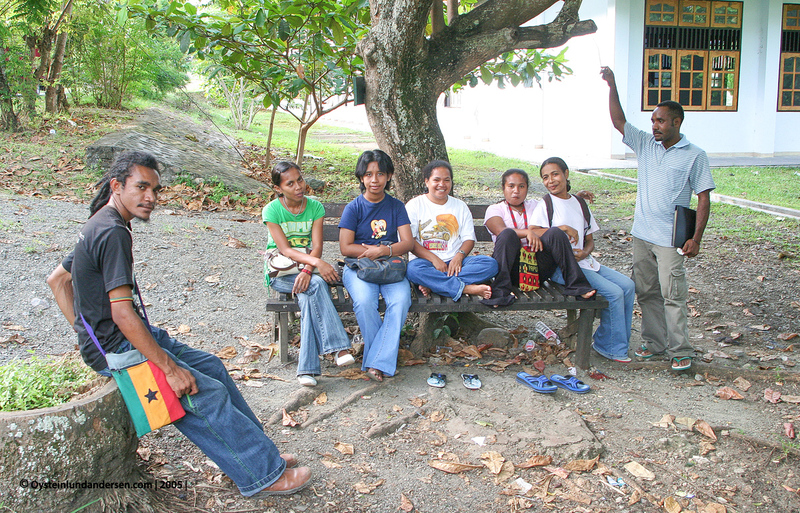 From left: Lea, Lenny, Barkis, Eke, Nina and me. 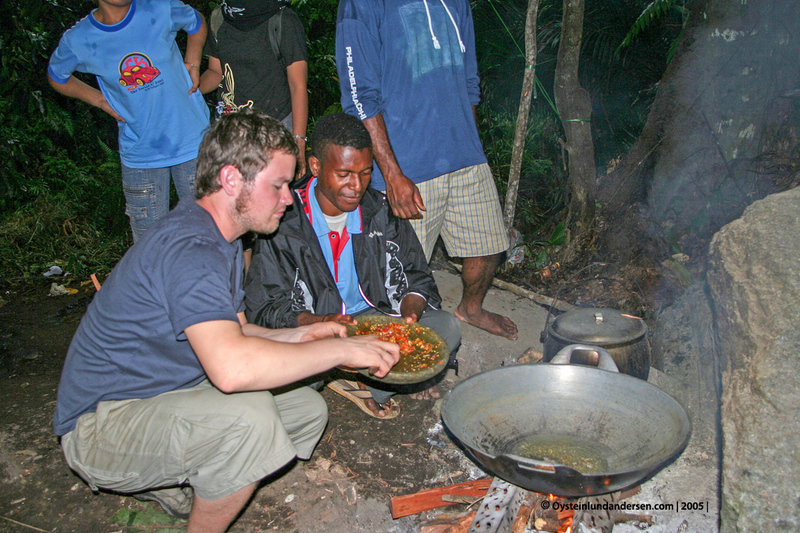 Dinner at the house of the village-head in Babrongko. 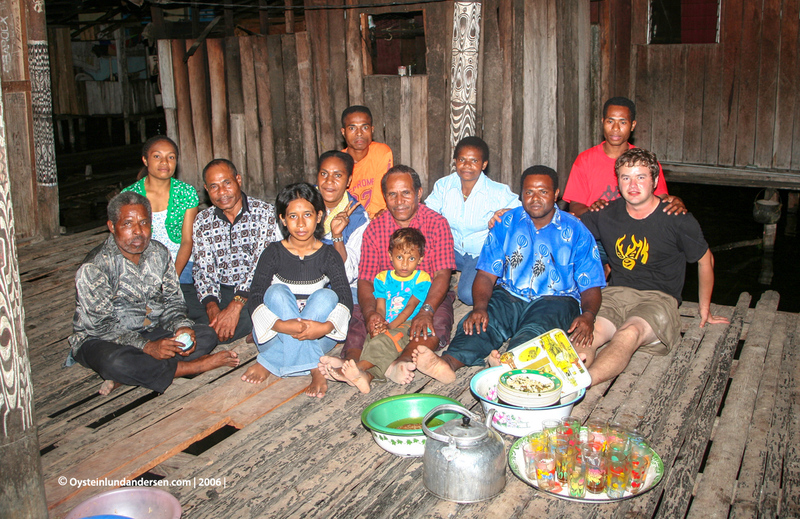 With the head of village of Babrongko and his kids. 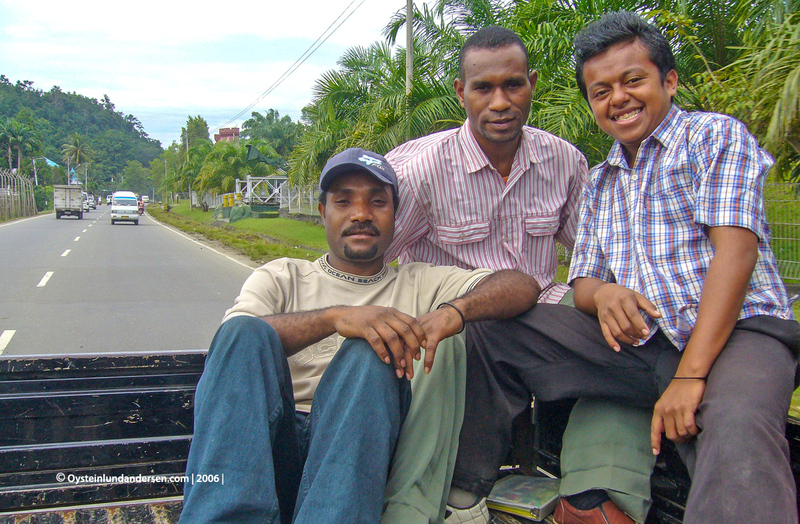 Naman, Maximus and Hans hitching a ride to Abepura. 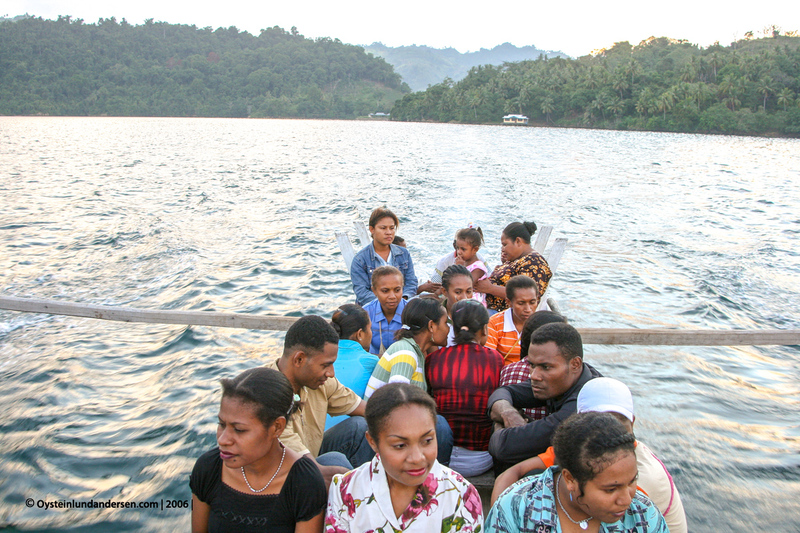 Departure to Engros village in the Youtefa bay. 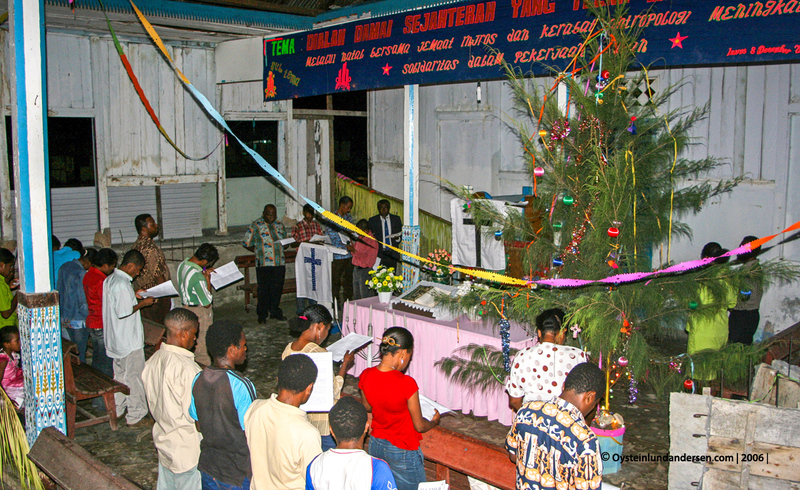 We went there for a christmas celebration. 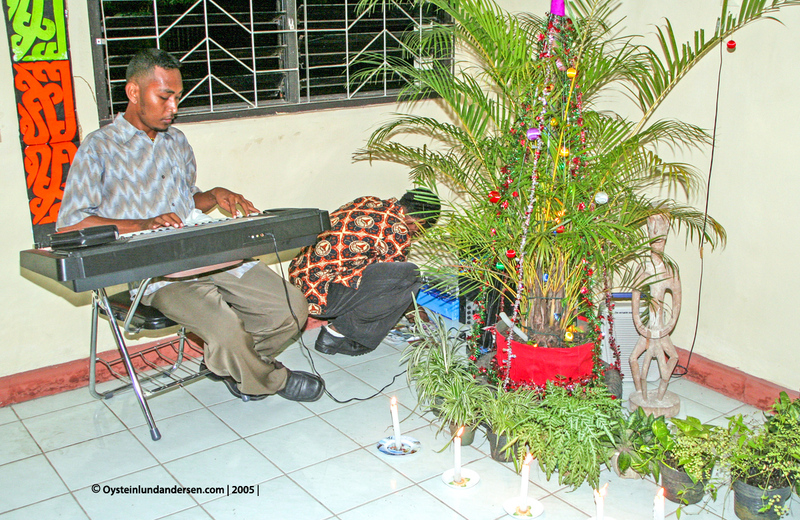 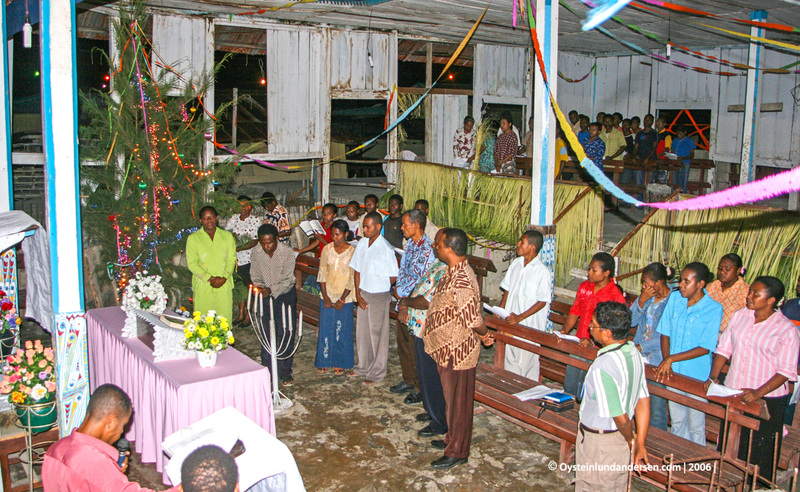 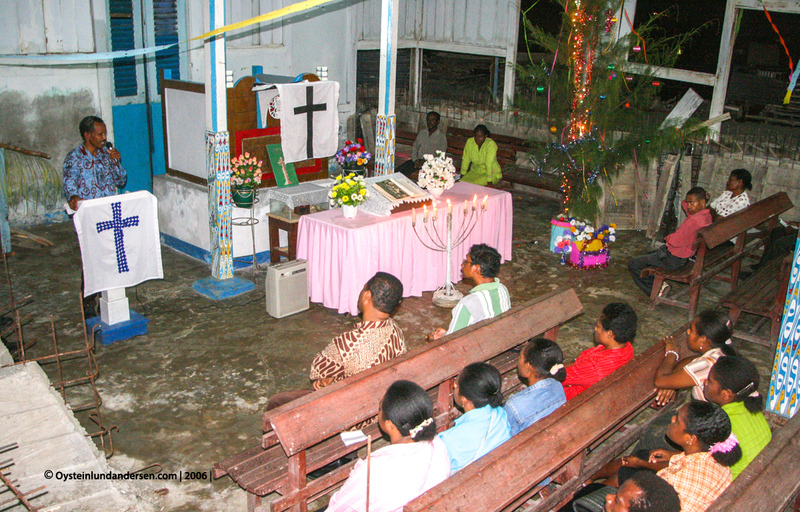 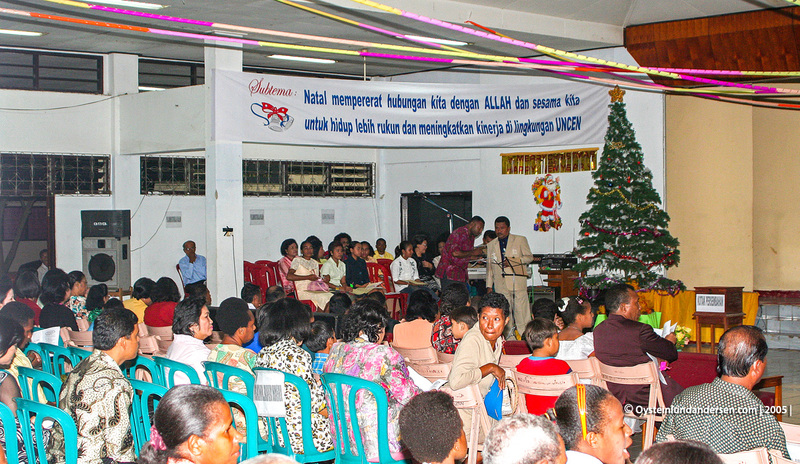 Christmas decoration at the church in 2006. 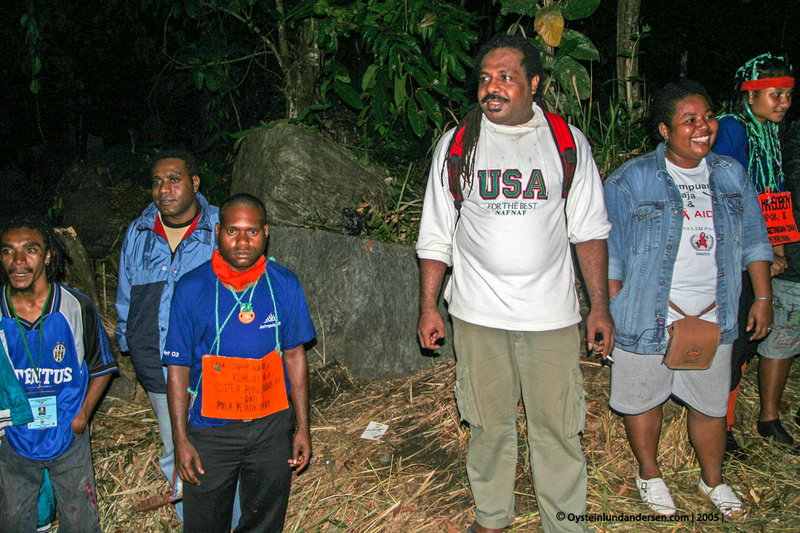 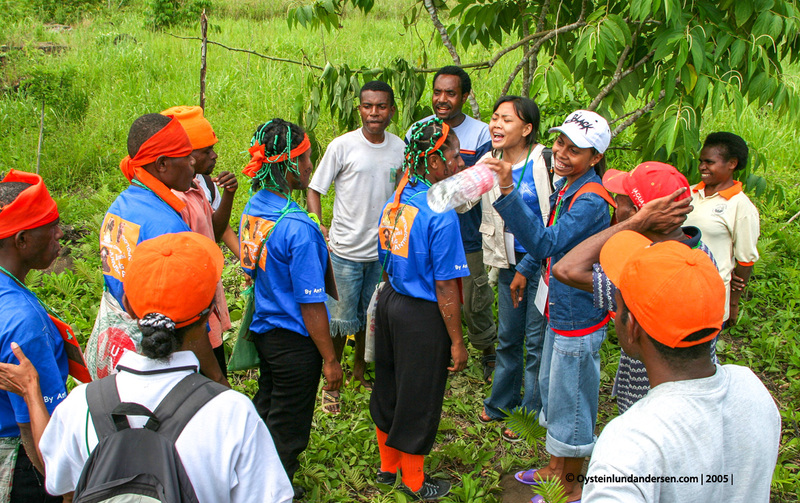 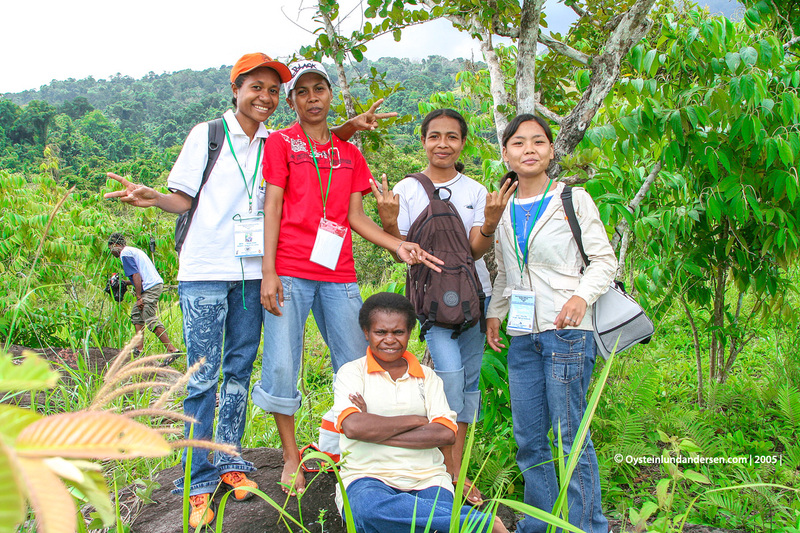 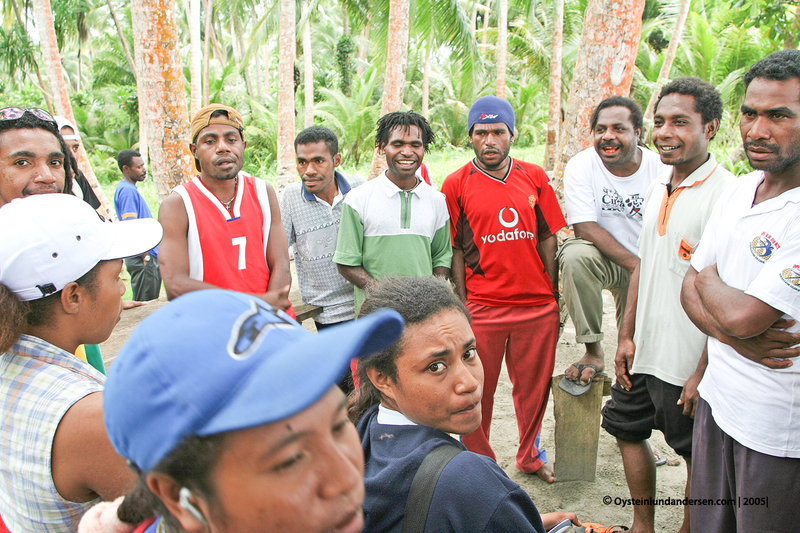 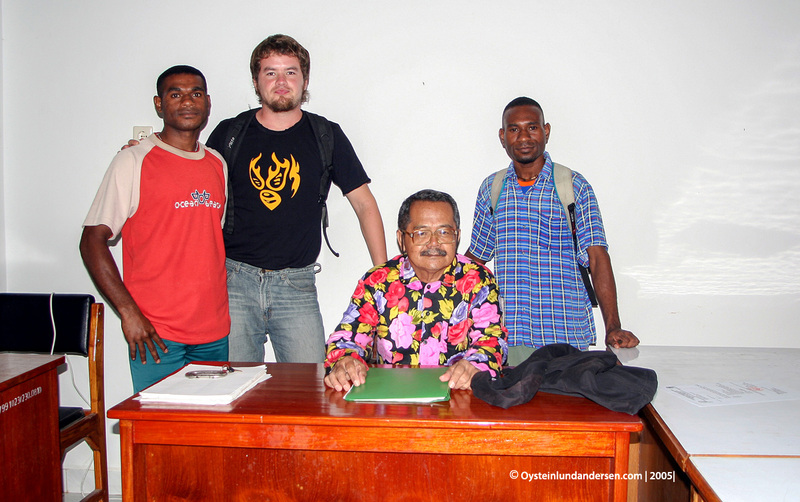 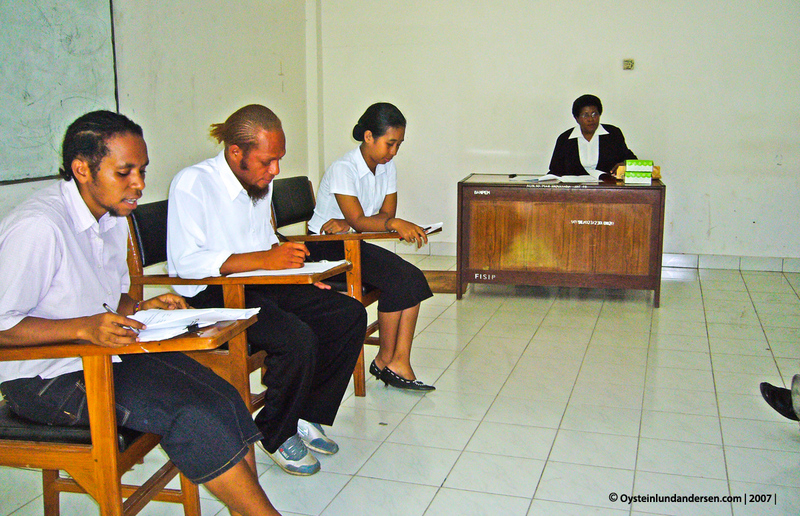 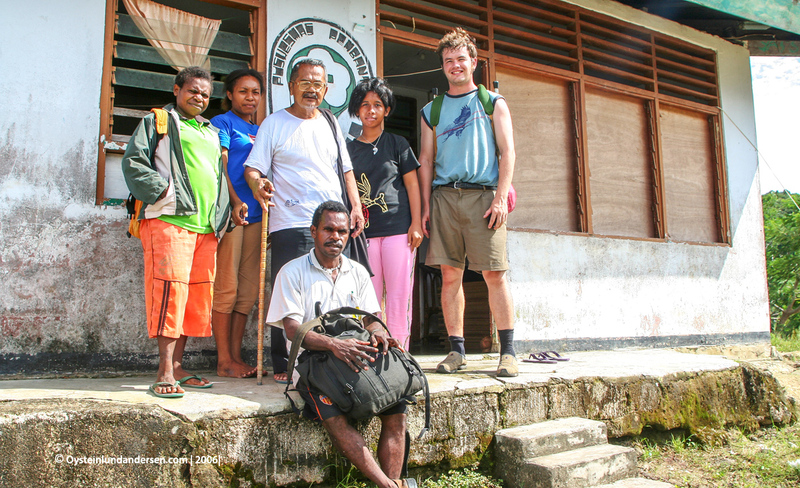 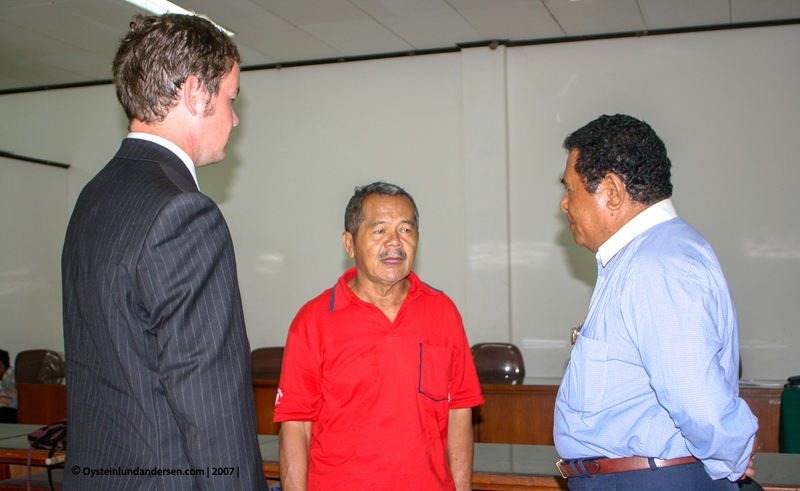 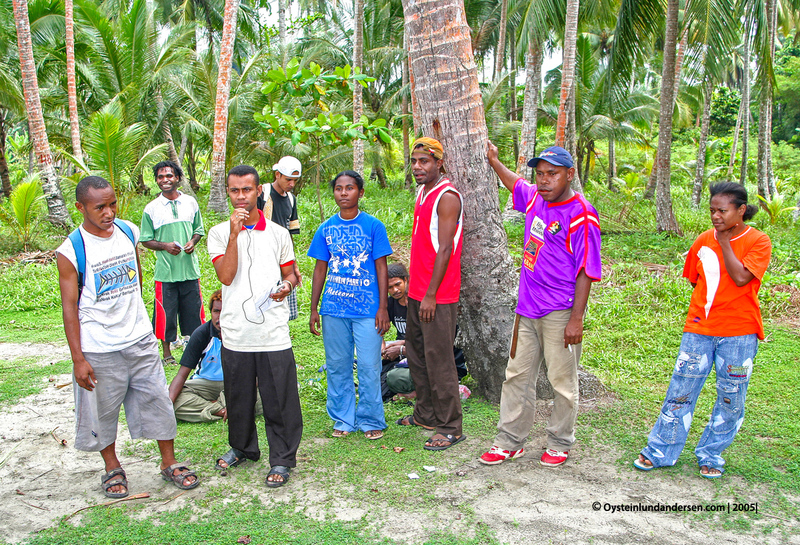 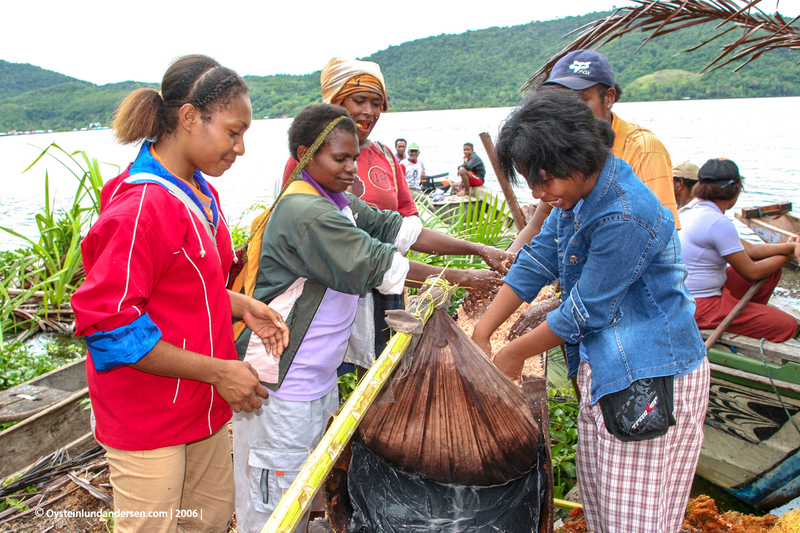 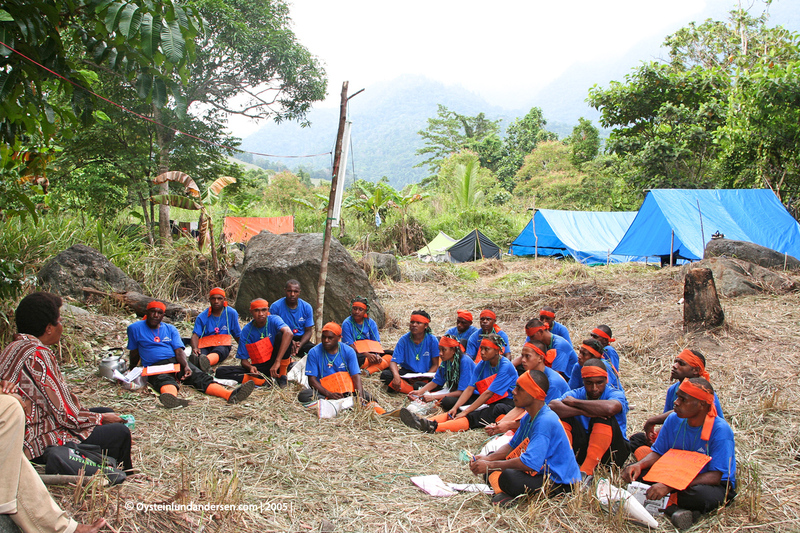 Frans Apomfires, Lanny Manalip, Barkis Suraatmadja and Johsz R. Mansoben – with students in a seminar on Anthopology fieldwork in Papua. 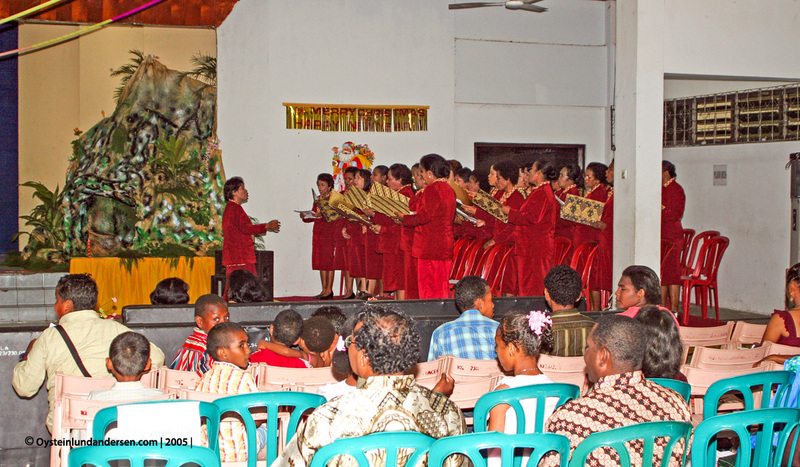 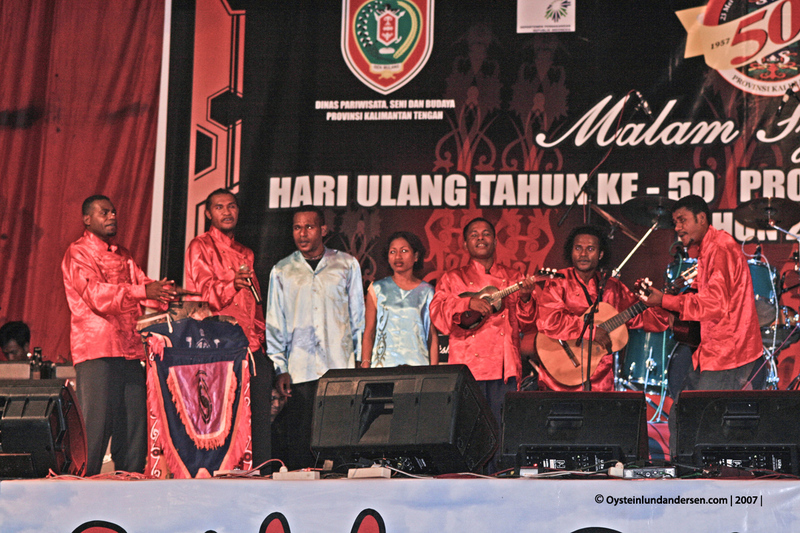 Barkis Suraatmadja commenting on a students performance. 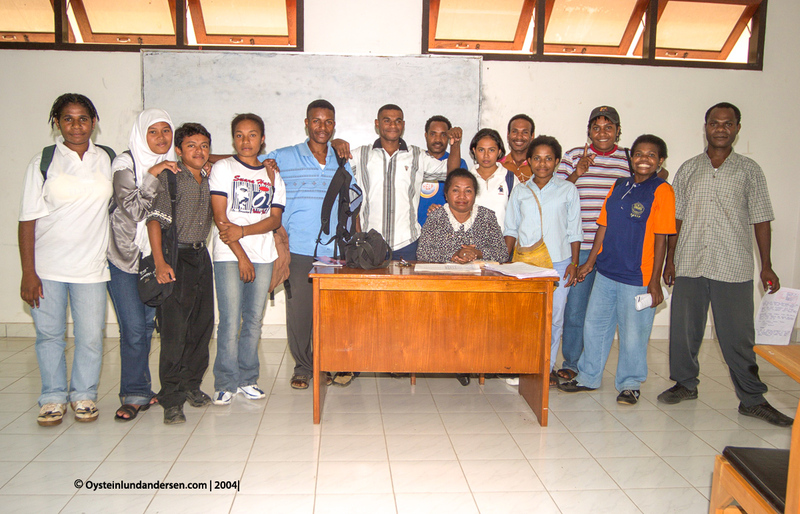 Presentation in front of the Lecturer, Yosephine Griapon. 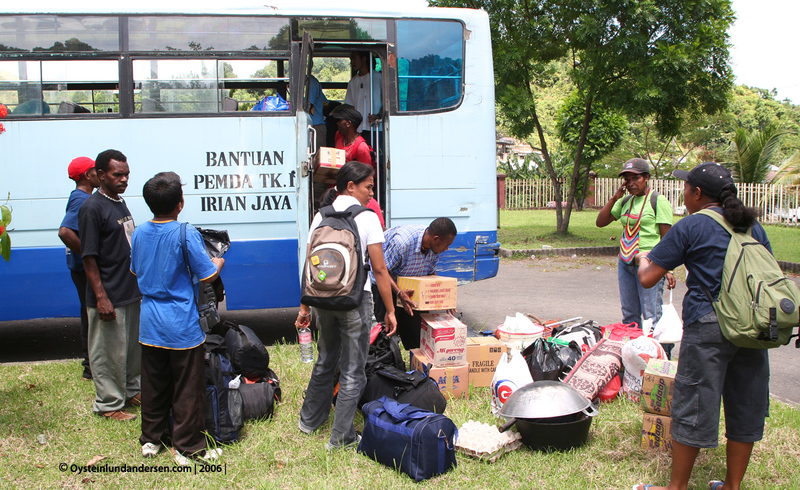 Arrival in Palangkarya. 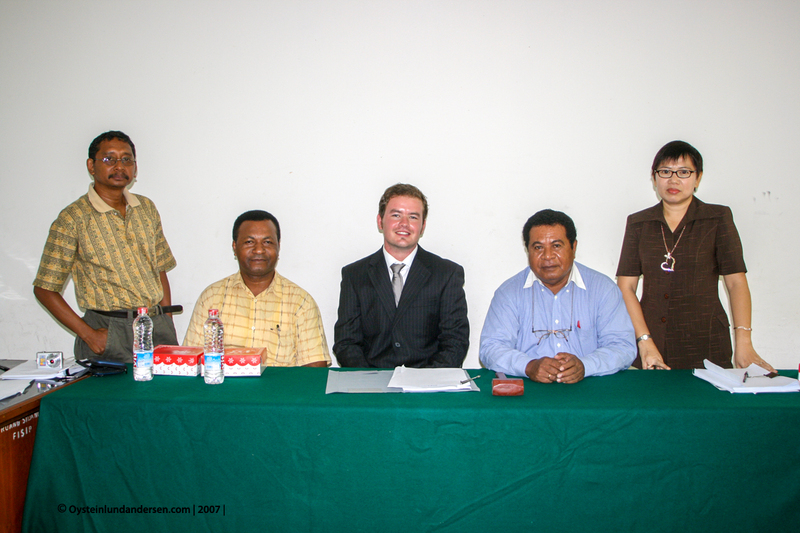 From left: Habel Samakori, Fredrik Sokoy, Ivonne Poli, Enrico Kondologit and me. 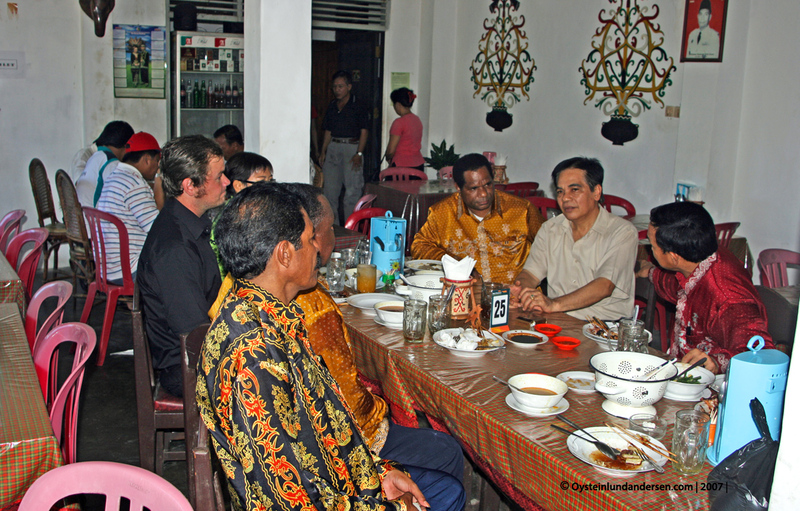 The Rector of Cenderawasih University (second from the left) also participated on the visit to Palangkaraya. 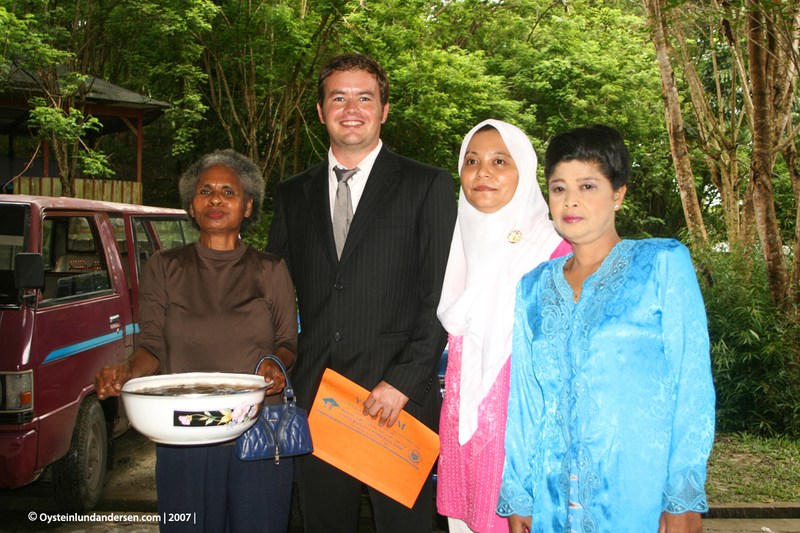 With the host (middle), head of the Museum in Palangkaraya. 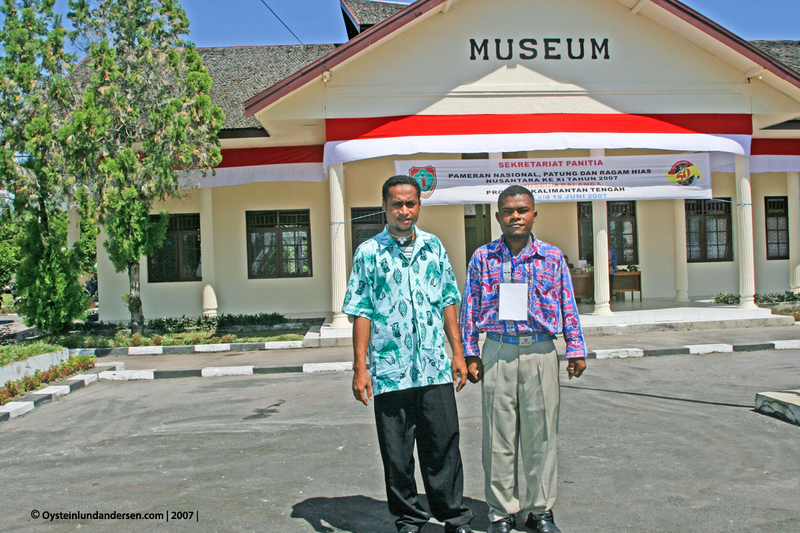 In front of the Palangkaraya Museum. 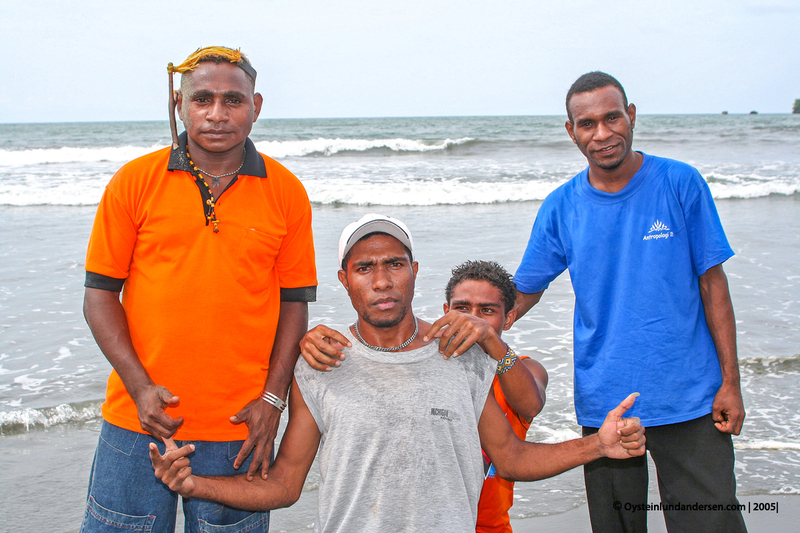 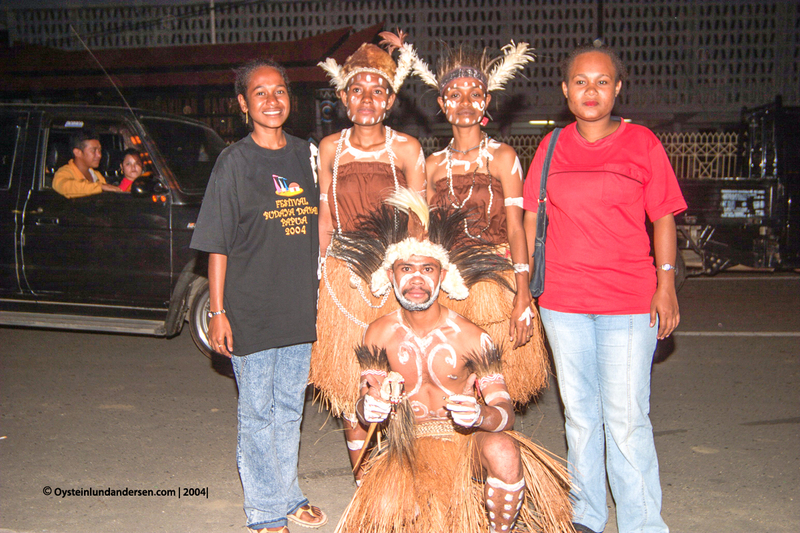 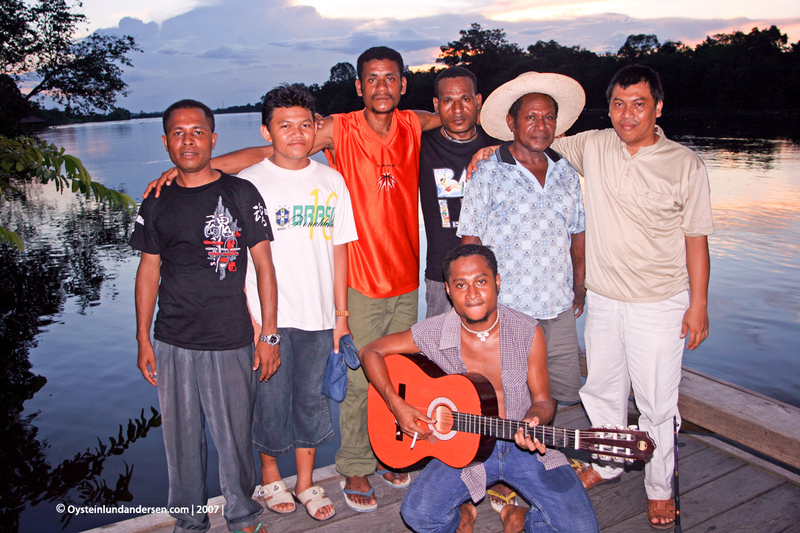 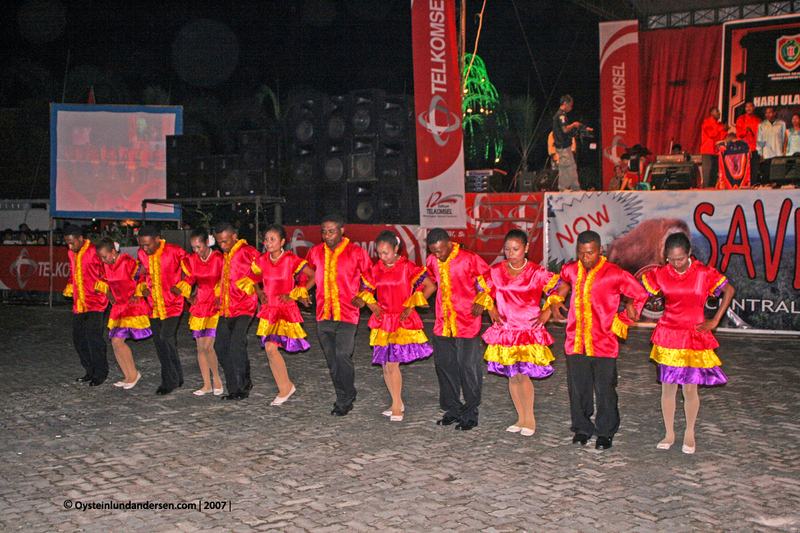 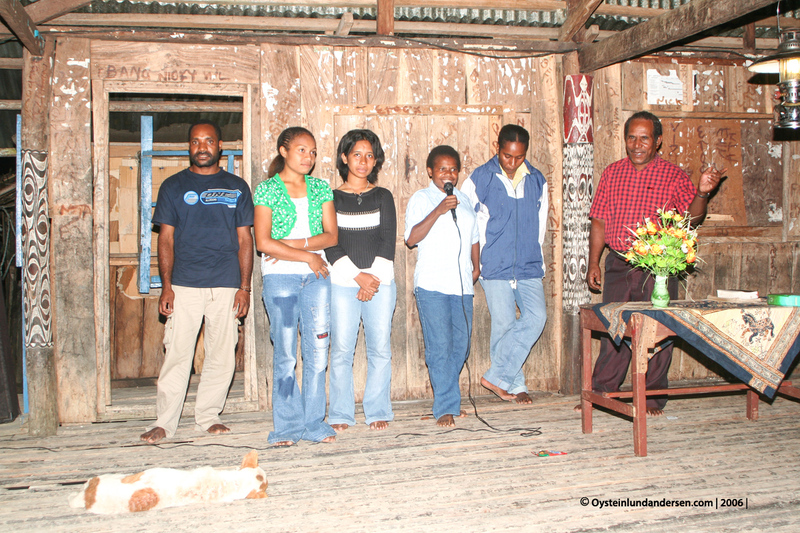 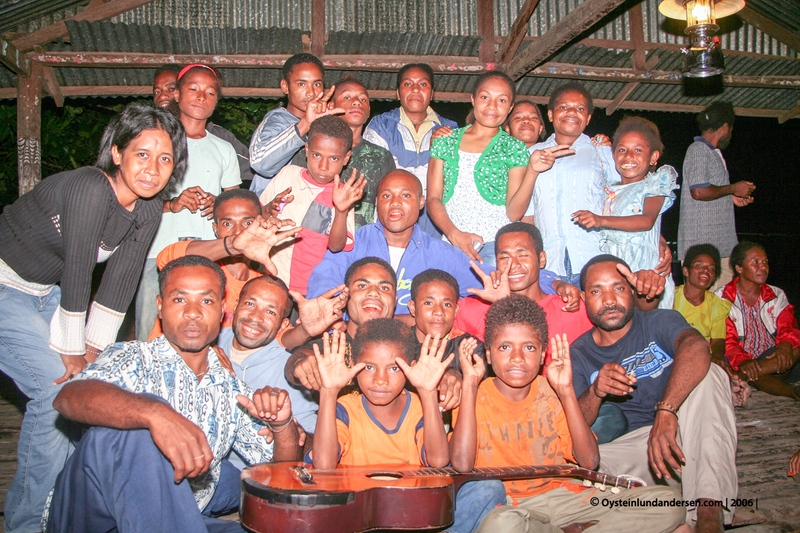 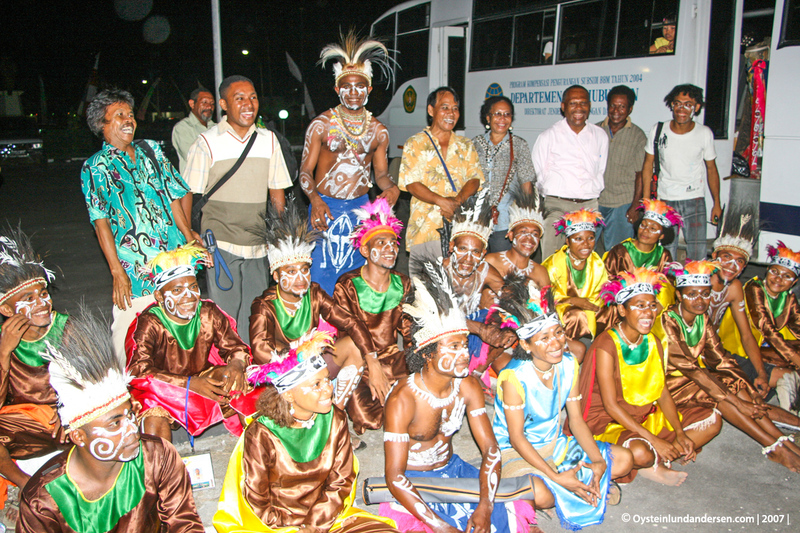 Ivonne and Habel with some of the Dancers from Papua. 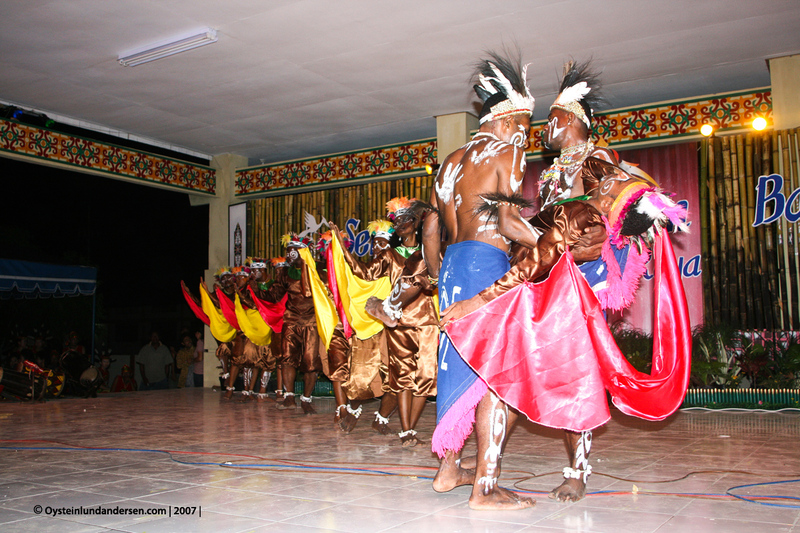 Our Papuan friends performance, lead by the lead figure Permenas. 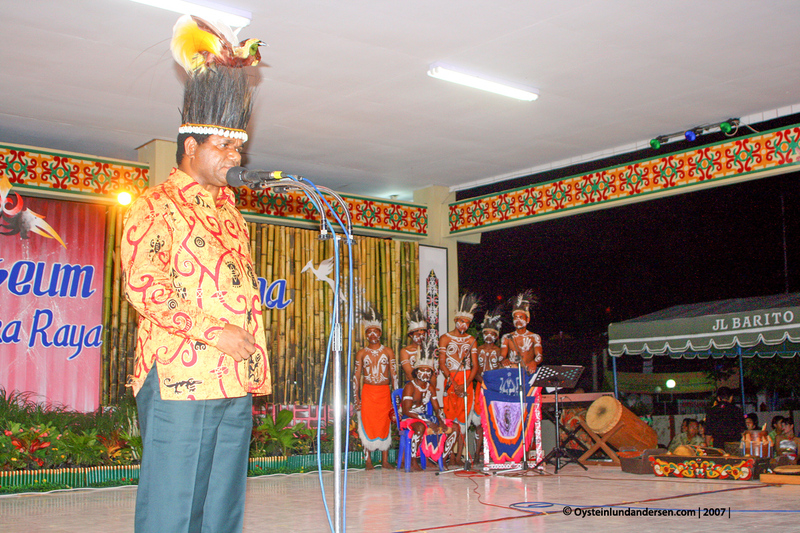 The Cenderawasih Rector was appriciated in front of the crowd by being given a hat decorated with a Cenderawasih bird, by the Papuan dancers, his students. 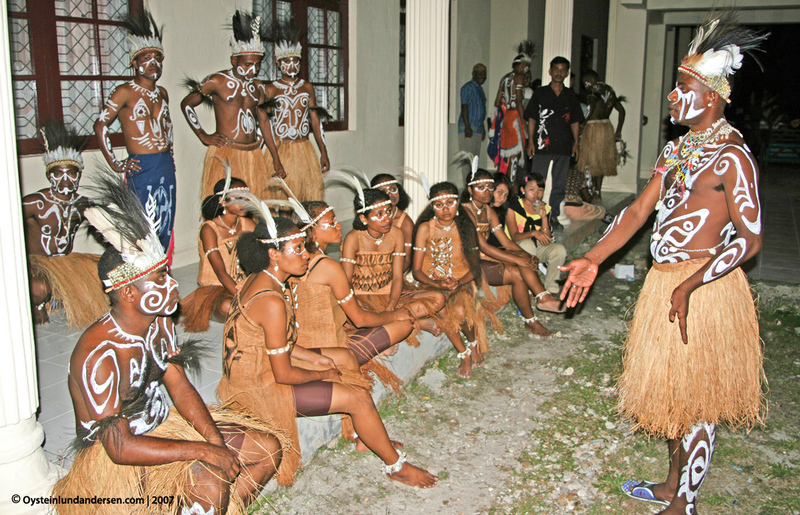 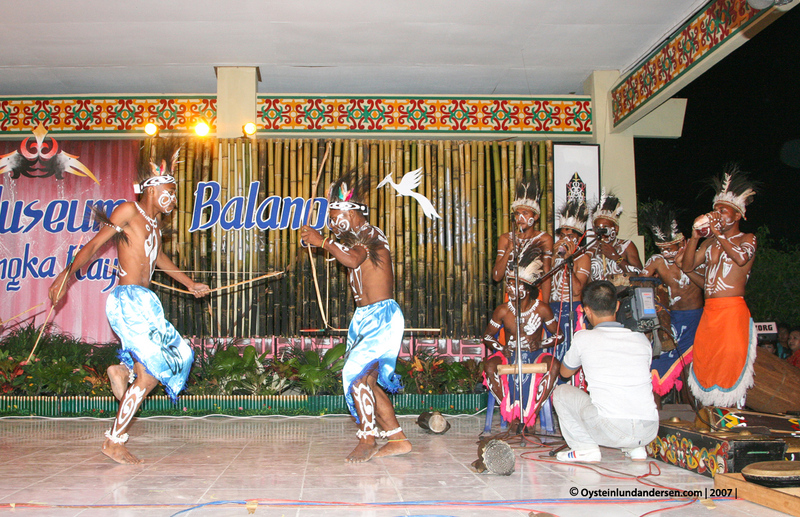 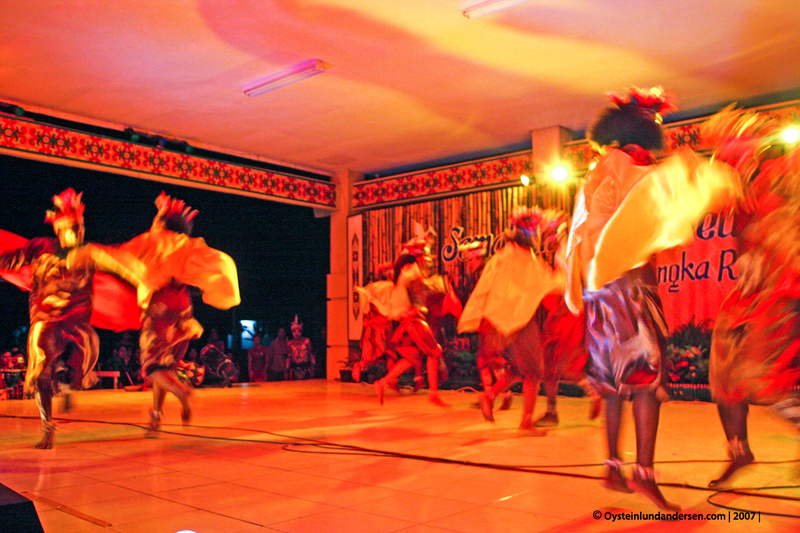 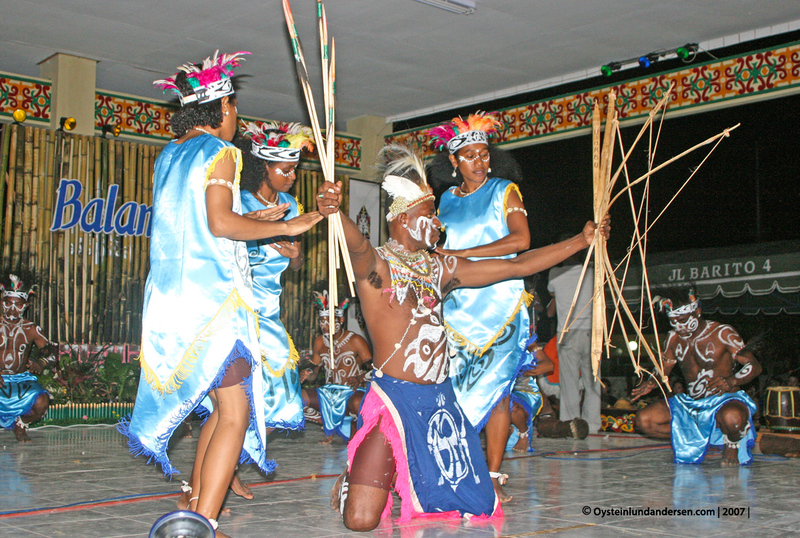 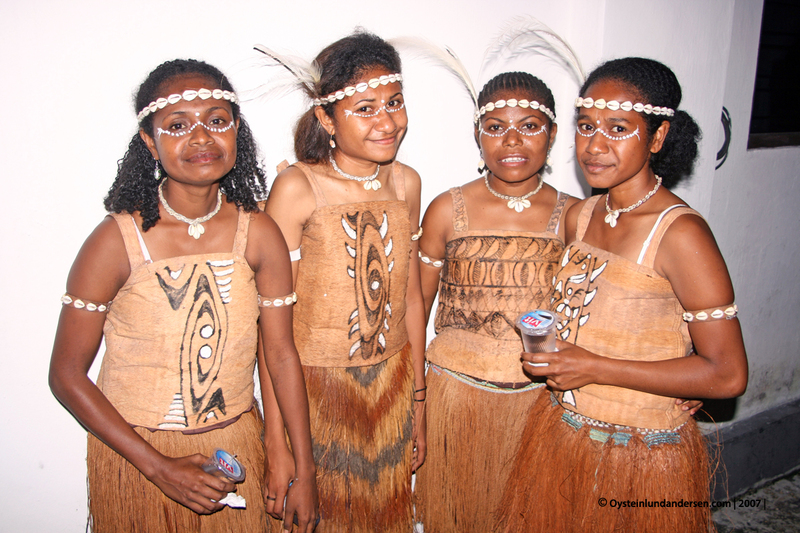 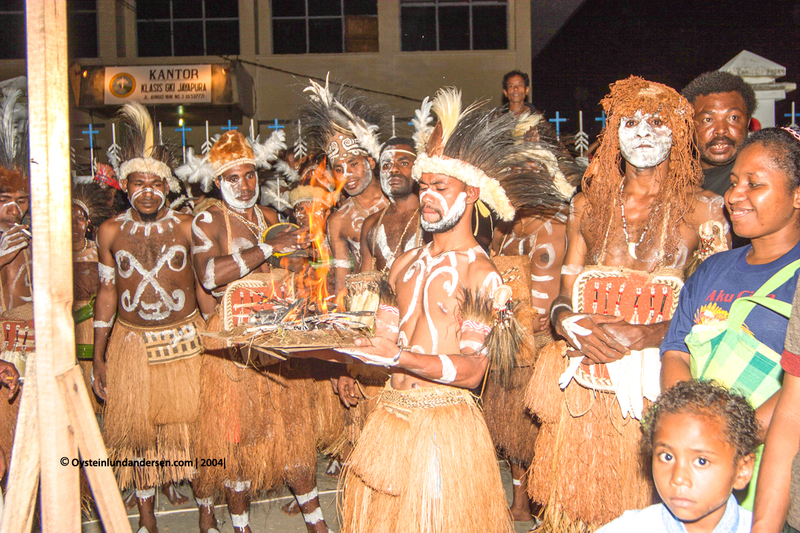 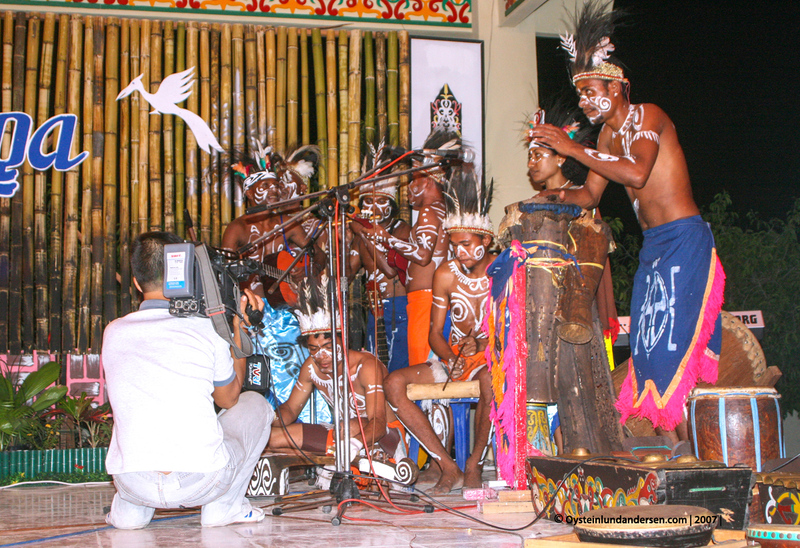 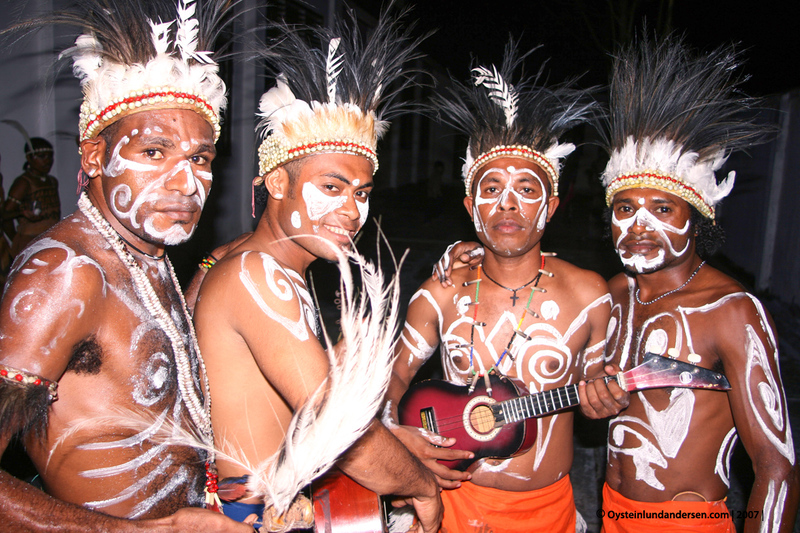 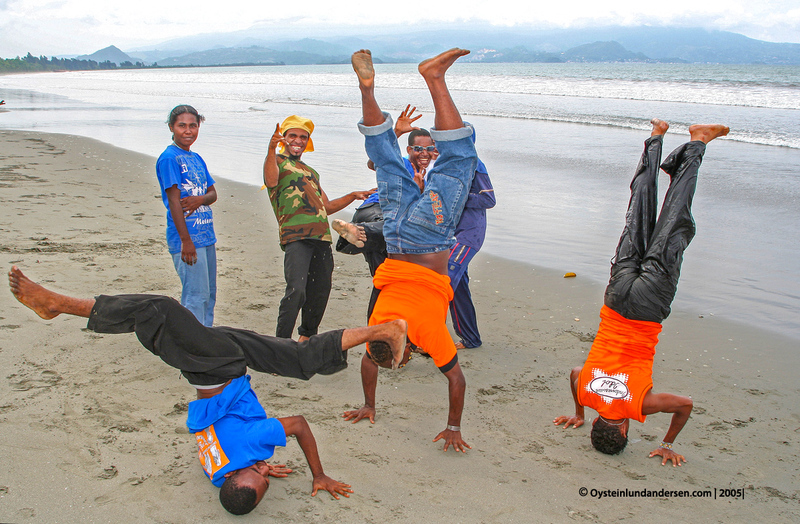 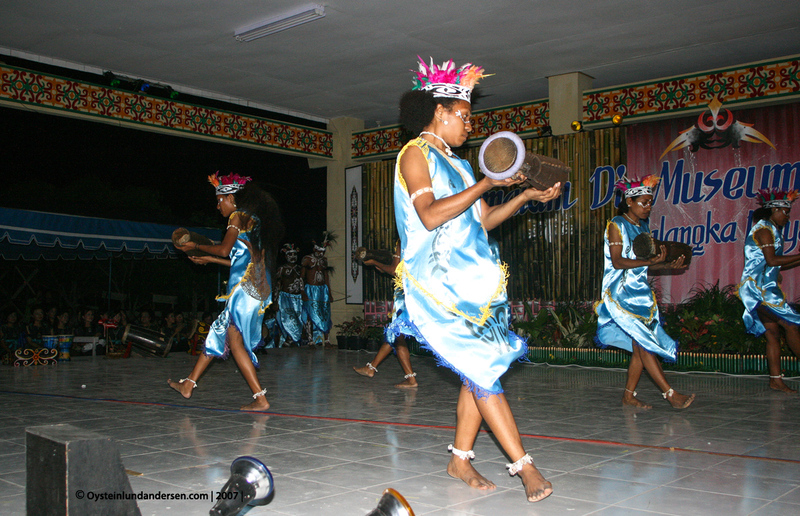 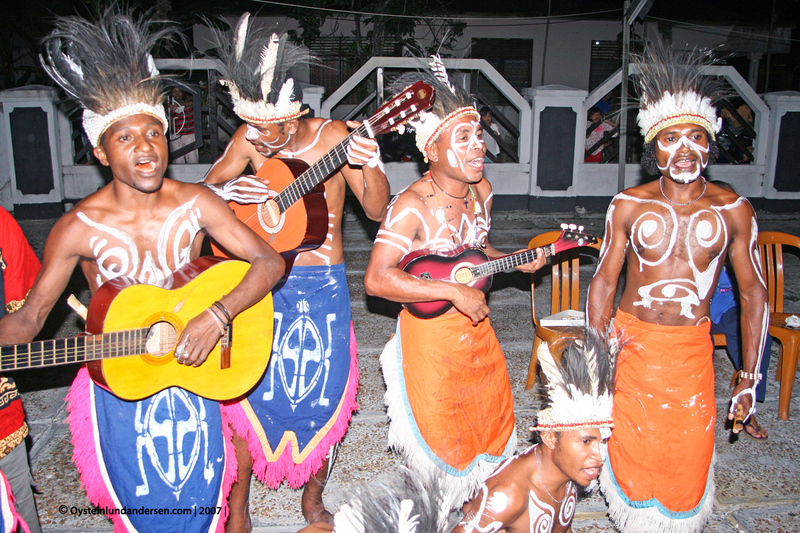 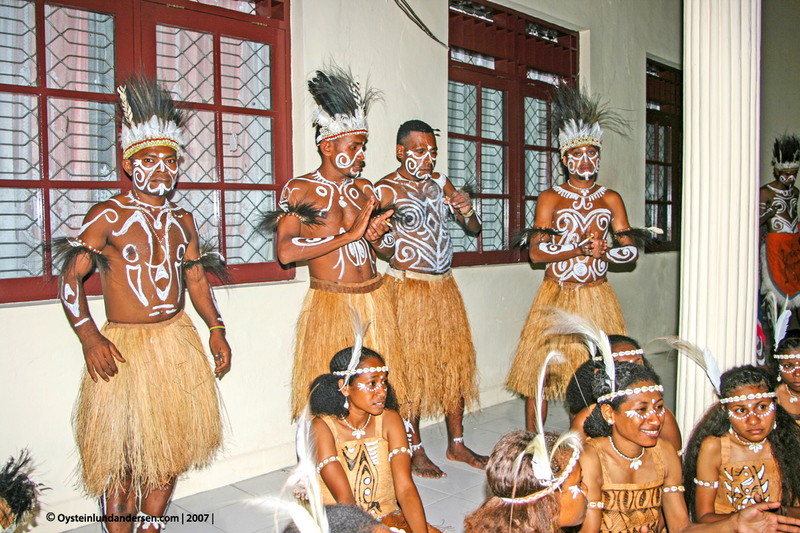 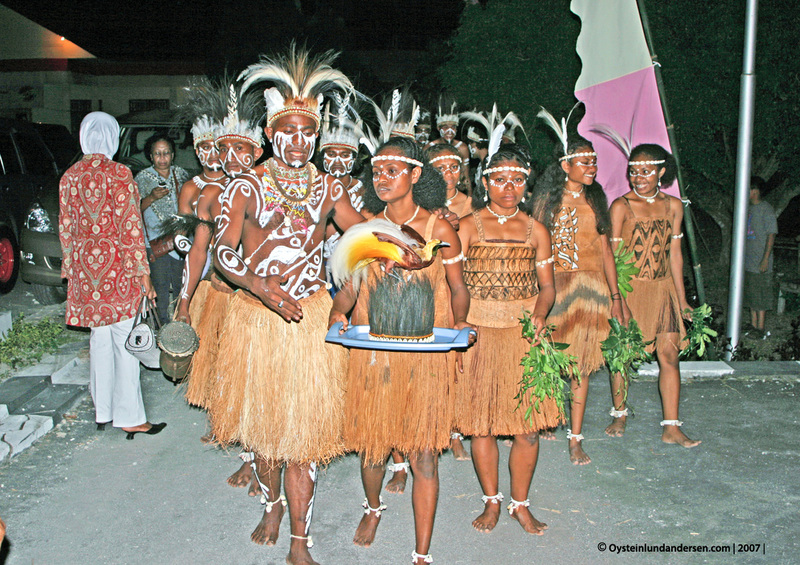 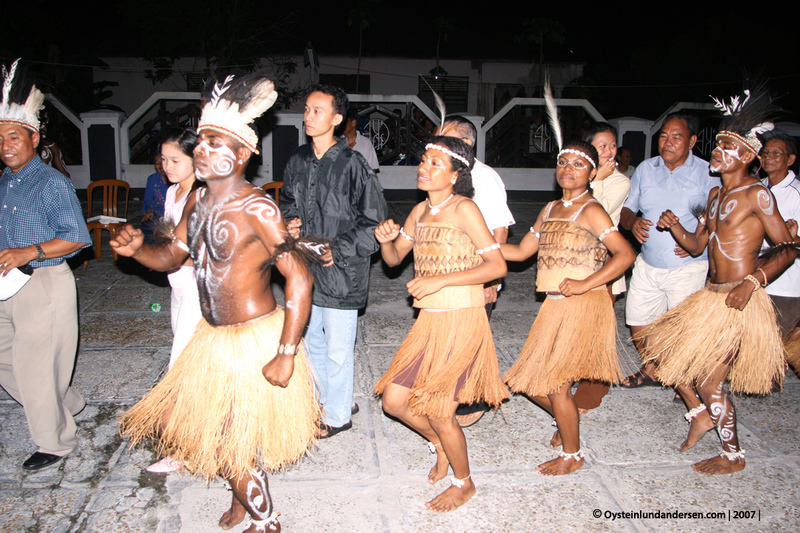 The Papuan performance did ofcourse outperform the other dancing performings from the other provinces. 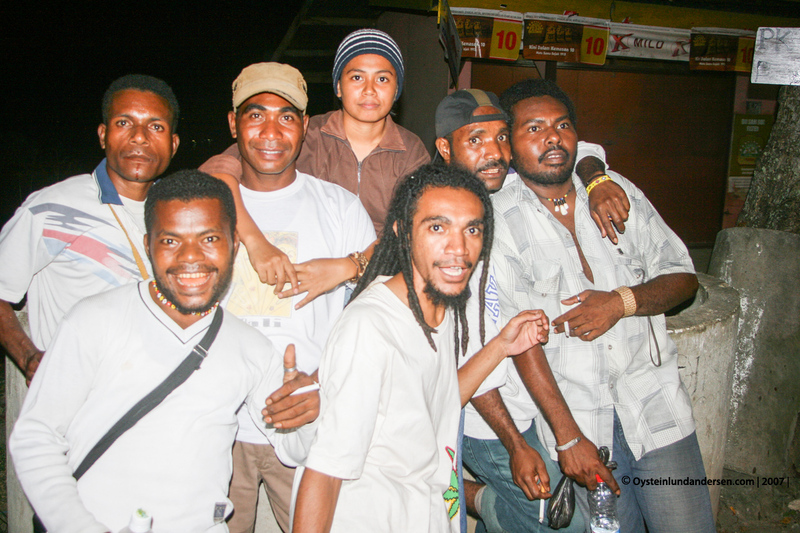 In front Lenny. 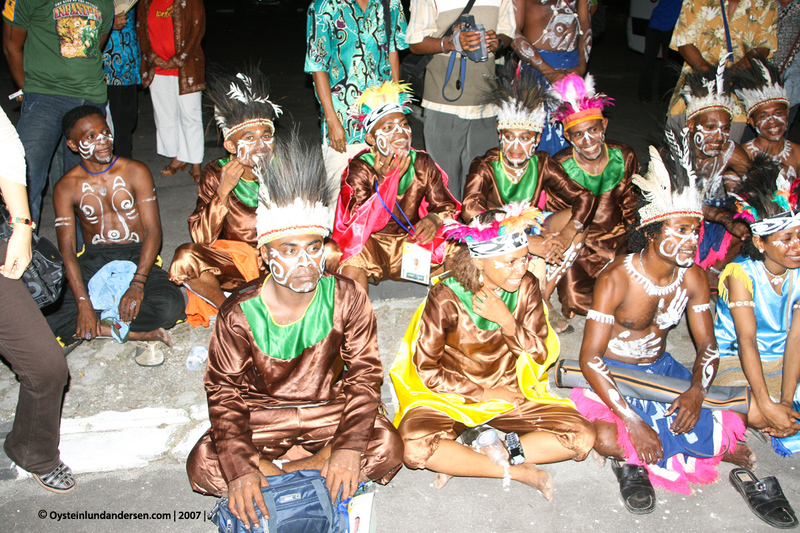 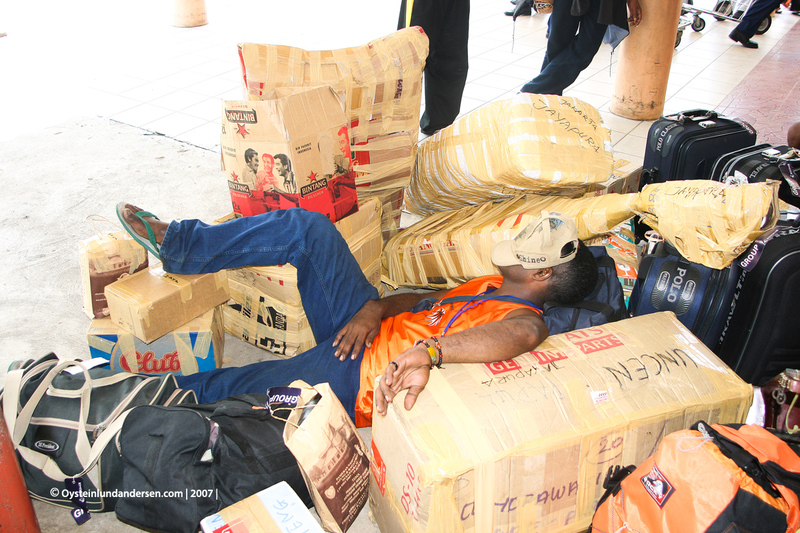 The event is over, waiting to depart back to Jayapura. 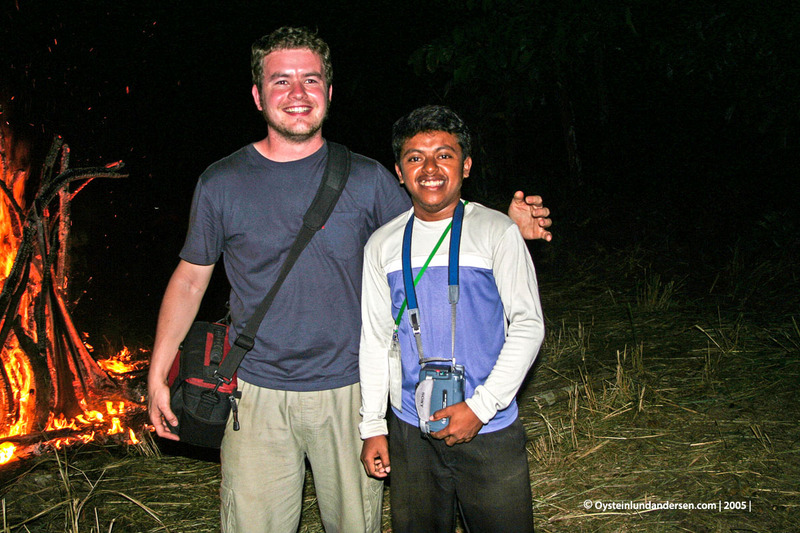 Me and my friend Maximus Kandam in the field in the village of Terablu in Lepki tribe territory. 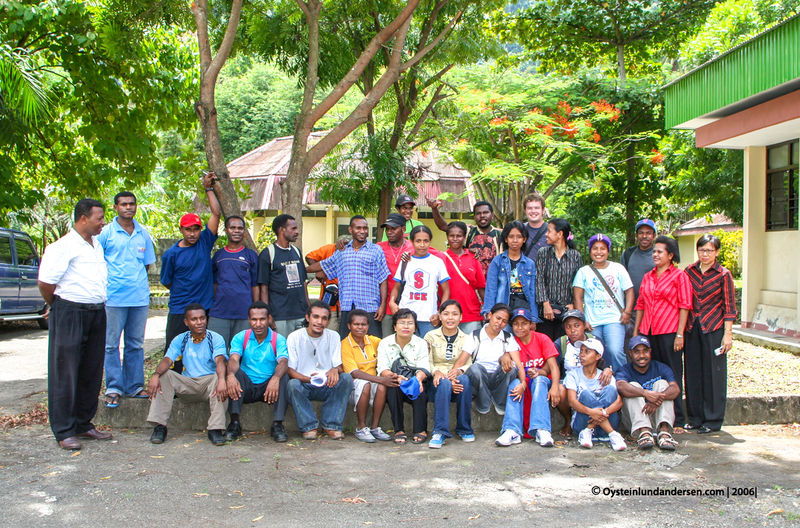 This was the fieldtrip where I collected the majority of the data I used for my thesis. 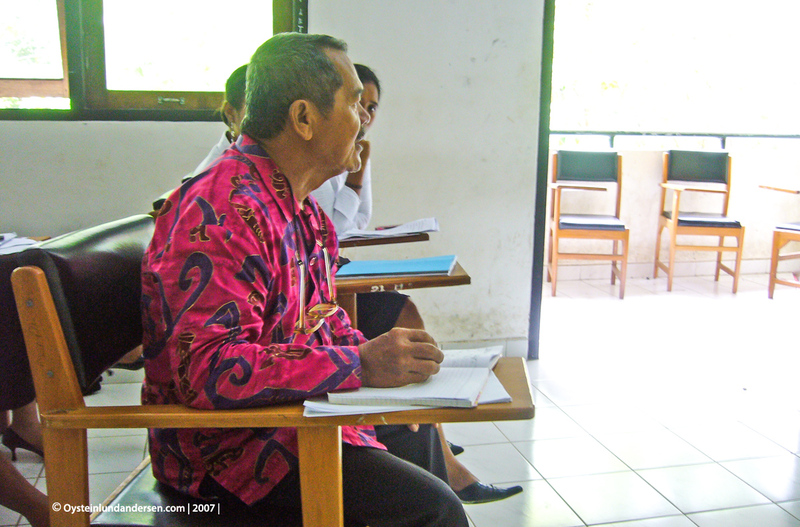 Lecturer Barkis Suraatmadja also attended, from the sidelines, and ofcourse had a few questions regarding my research. 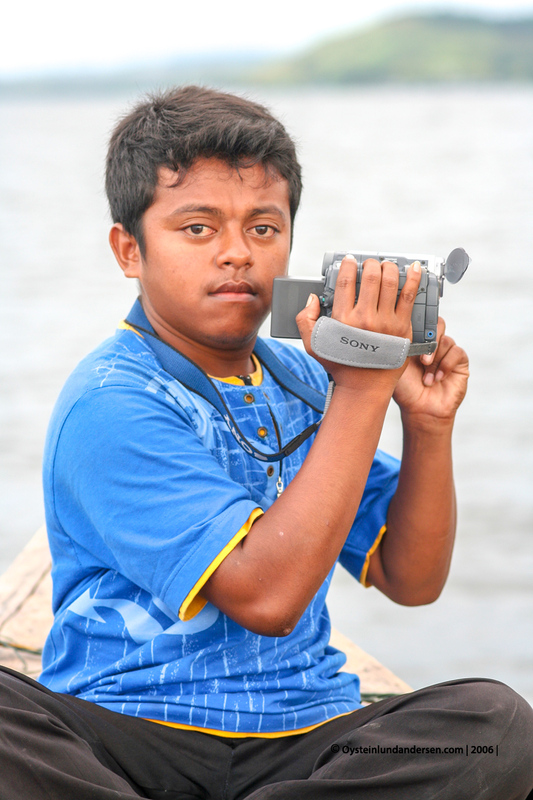 I really appriciated that. 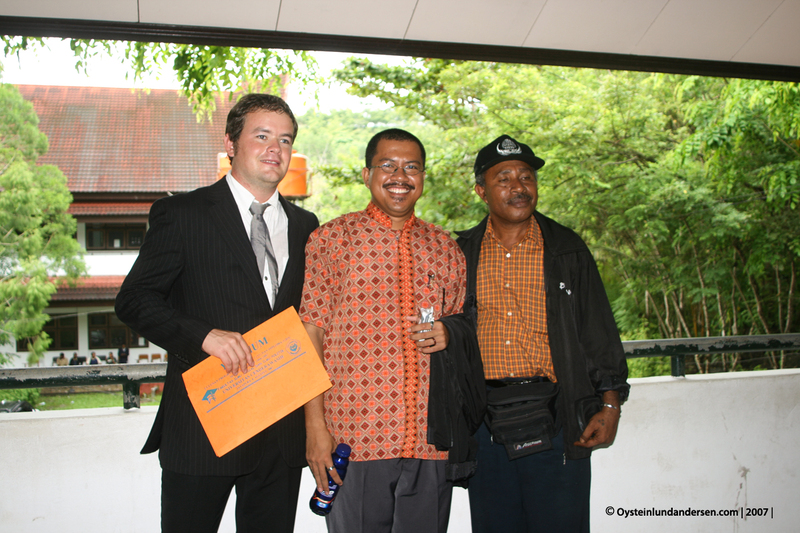 Me, Barkis Suraatmadja and Johsz Mansoben. 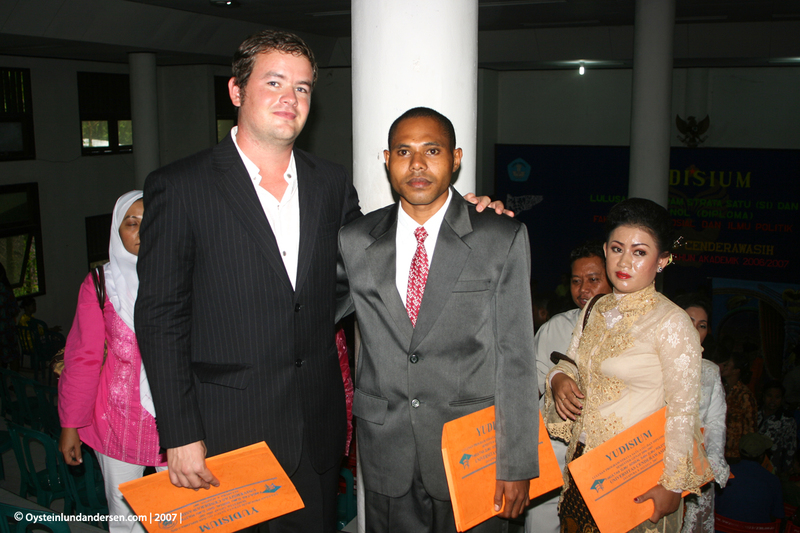 Graduation day, here with Fredrik Sokoy and Habel Samakori. 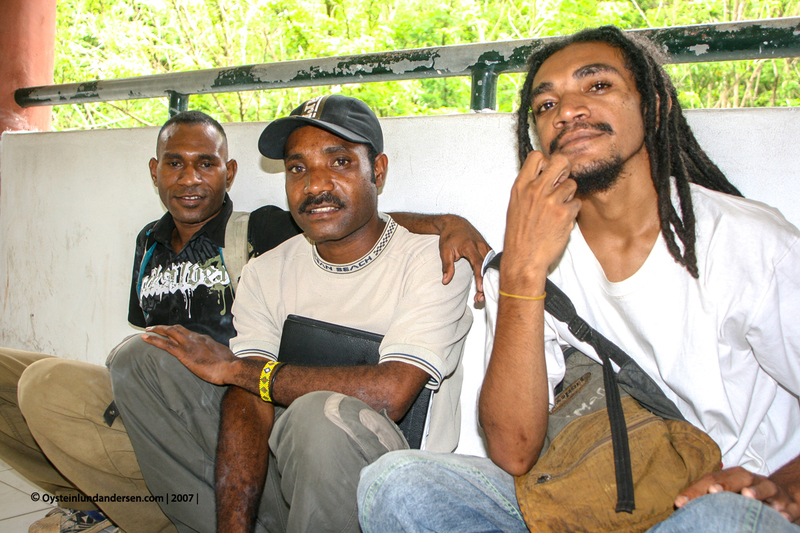 With Maximus Kandam and Aquarisal Imbiri. 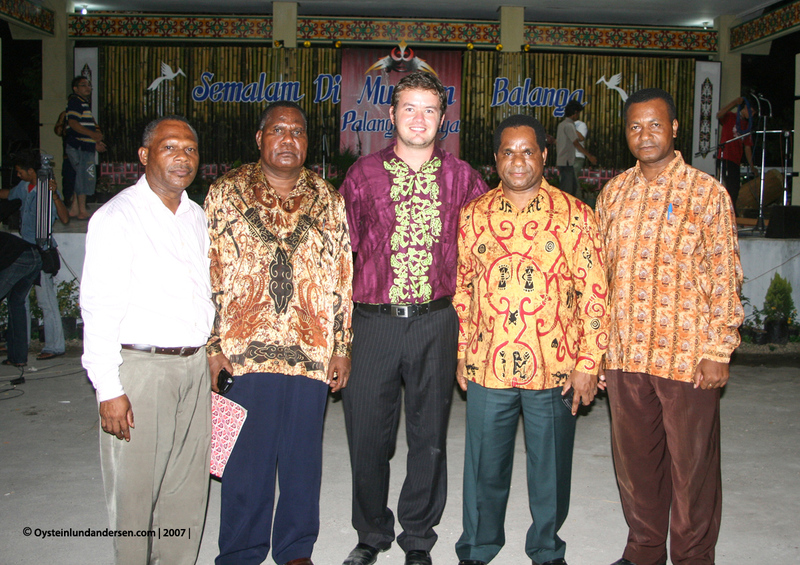 Habel Samakori, Ivonne Poli, me and Fredrik Sokoy. 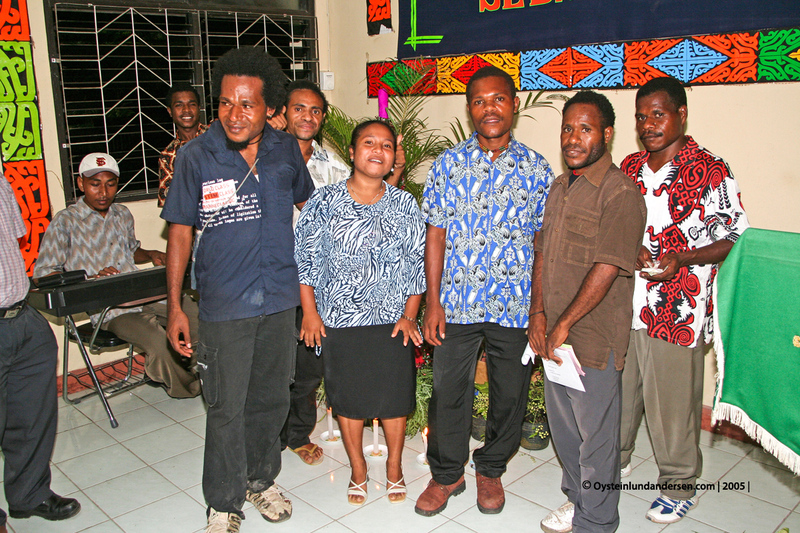 During a gathering of some of the students of the Anthropology class of 2003. 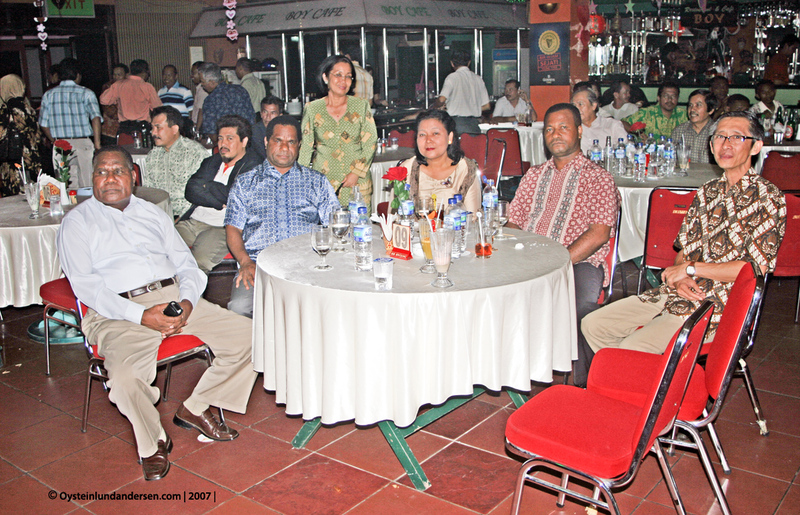 It was the last social event together in 2007 after Graduation. 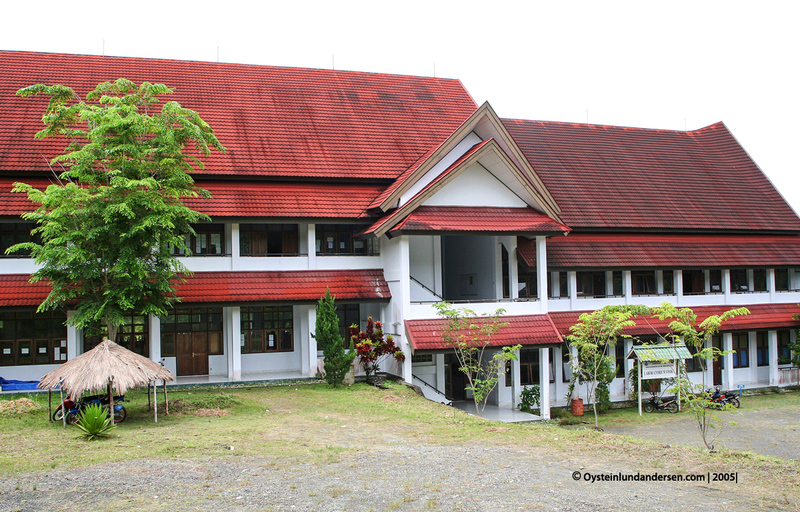 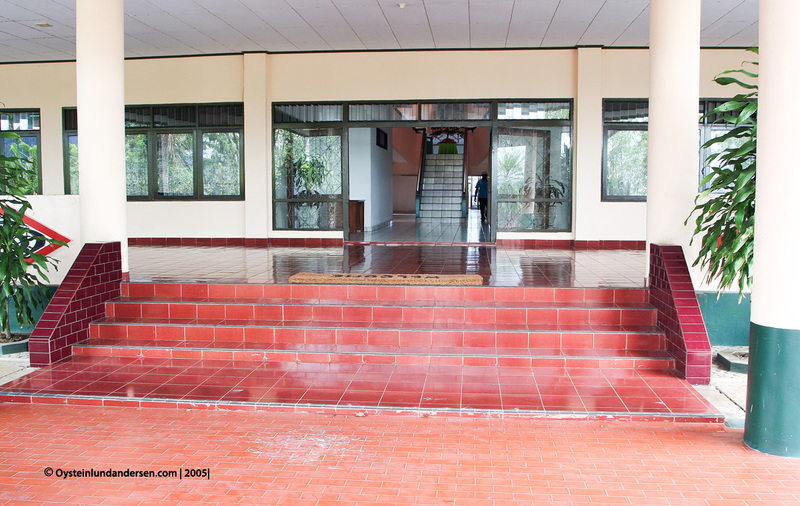 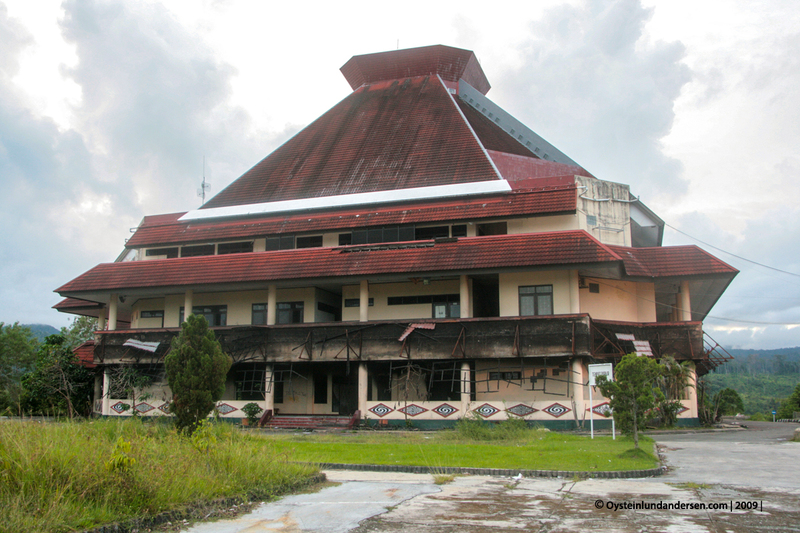 The directorate of Cenderawasih was partly damaged in a fire in 2009. 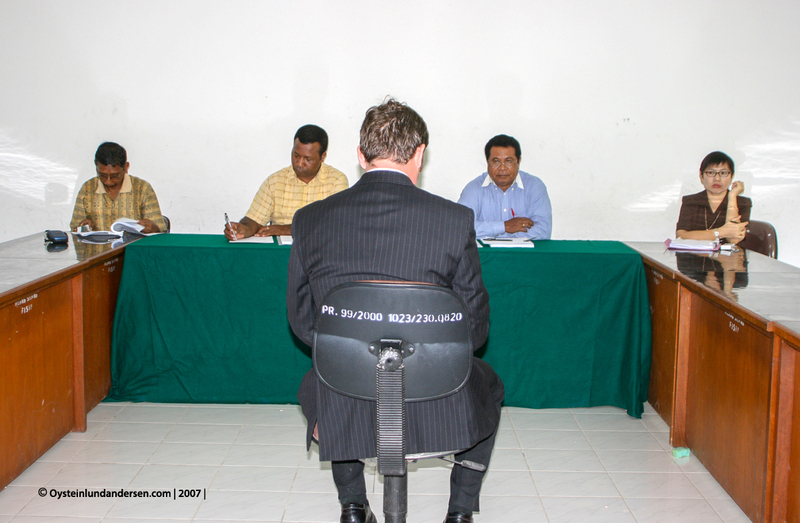 Please post a comment here!